So. I could probably stretch my trip to Australia into another couple of posts, but that would pushing it. 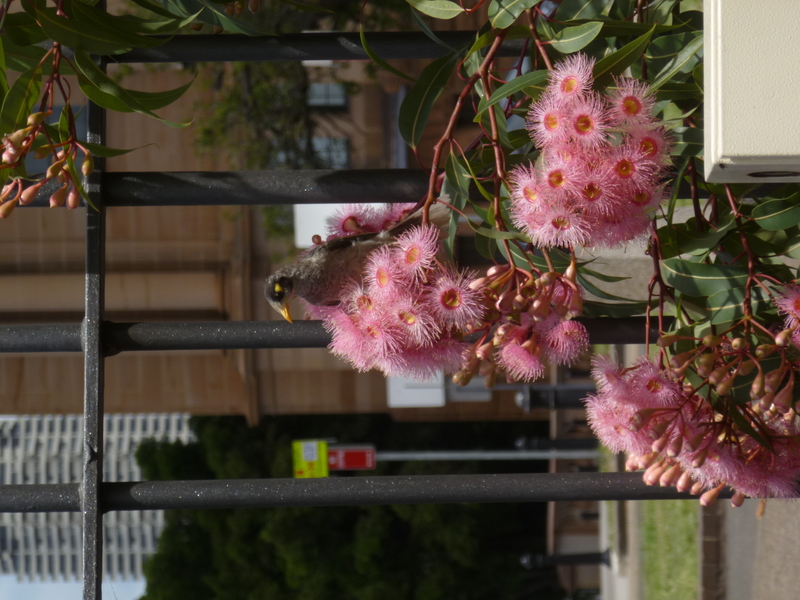 Instead, today is going to be the catch-all for those interesting things about Sydney that didn’t quite make it into a post of their own. This was on our wine tour adventure. It was interesting and I’m glad that we did it, but I don’t think I’ll ever do it again. Too much wine, not enough food, and I felt vaguely ill consuming that much alcohol before noon. 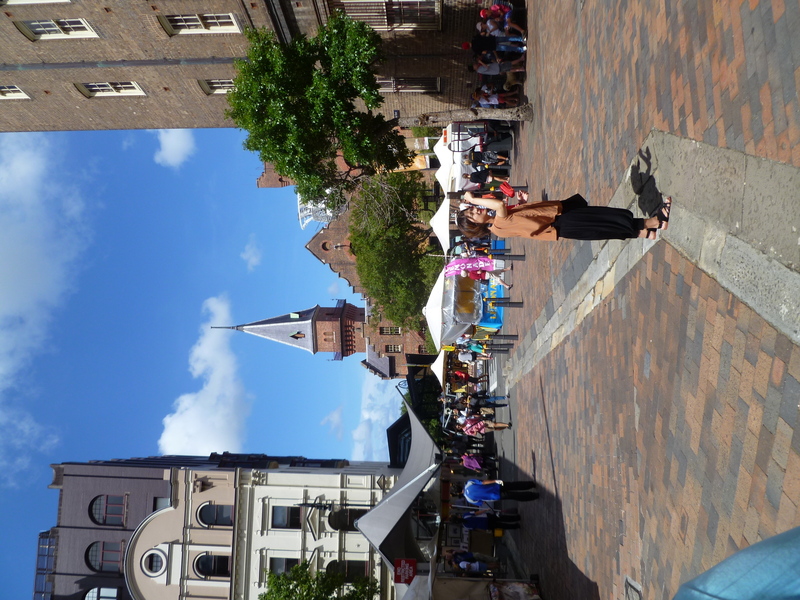 Every Sunday, there’s a street market at the Rocks. Really cool stuff, I bought lots that I probably shouldn’t have, and enjoyed wandering around up there. It’s a picturesque little neighborhood and I love it. 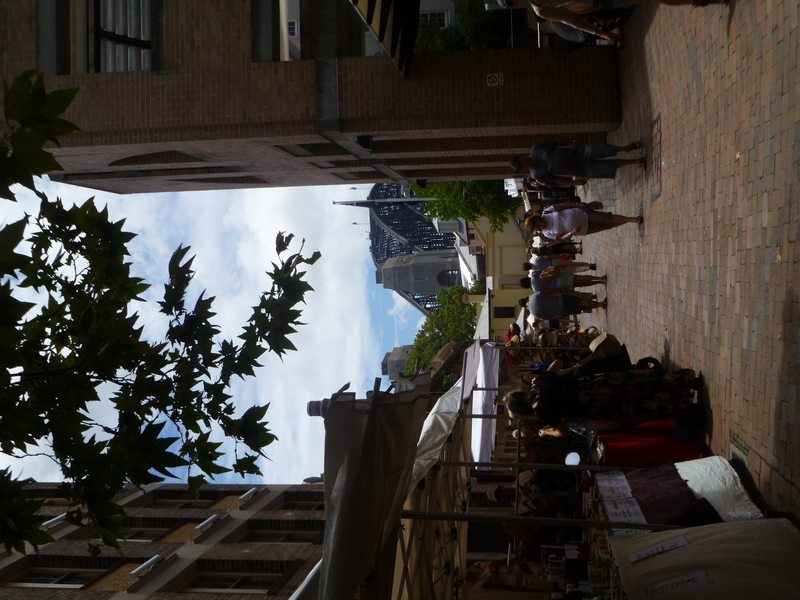 On the right, a view of the Harbour Bridge from the Rocks. 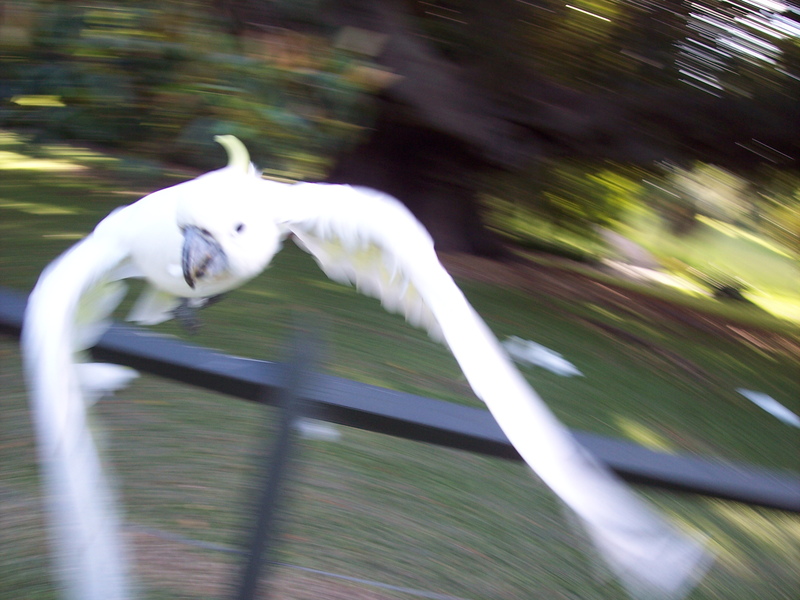 It’s crazy to think that cockatoos are wild birds sometimes. 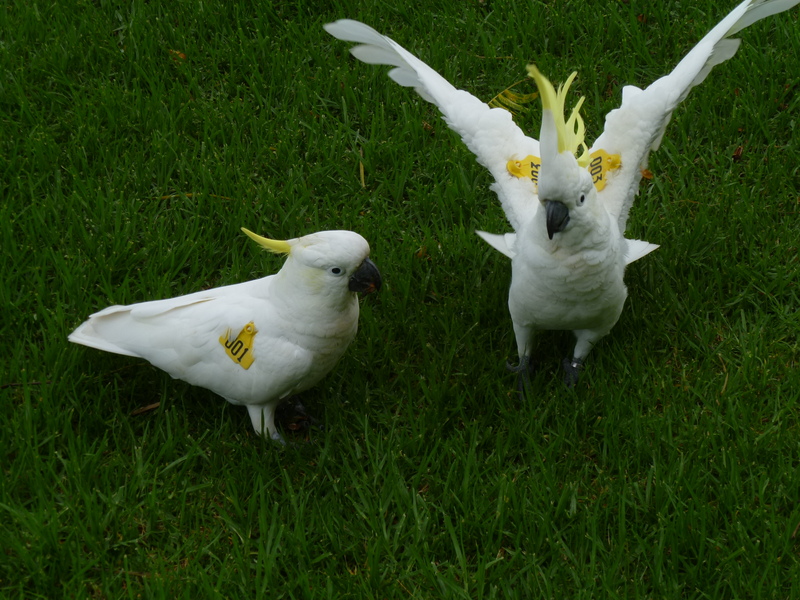 Tagged wild cockatoos at the Royal Botanical Gardens. 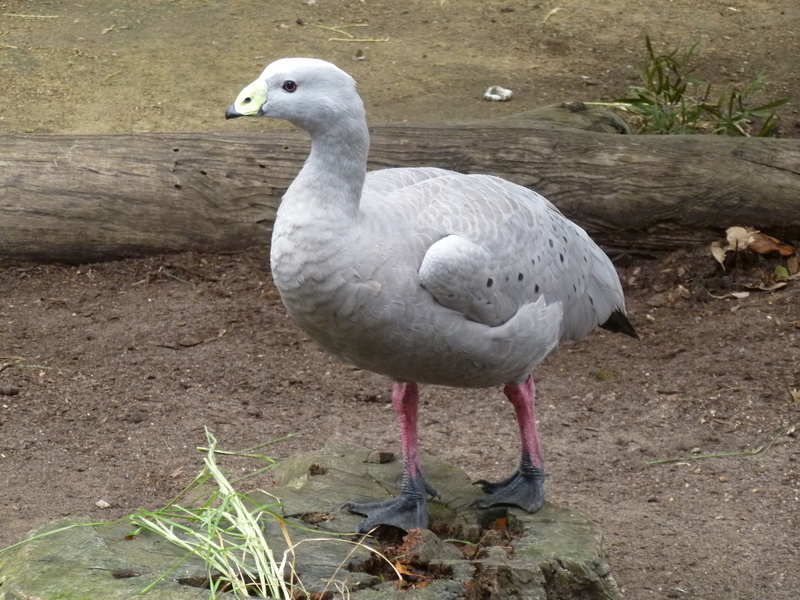 Given the low numbers, either these guys are the oldest birds or the stupidest in the flock. The whole flock is pretty accustomed to humans and will hop right on your hand if you have food. 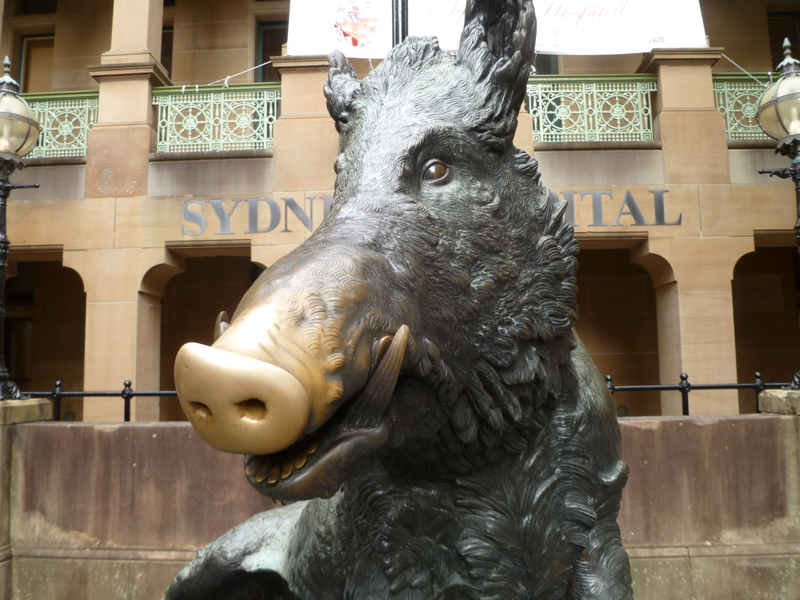 The boar outside the old Sydney Hospital. You’re supposed to rub his nose for good luck, which is why it’s a bright, polished bronze. 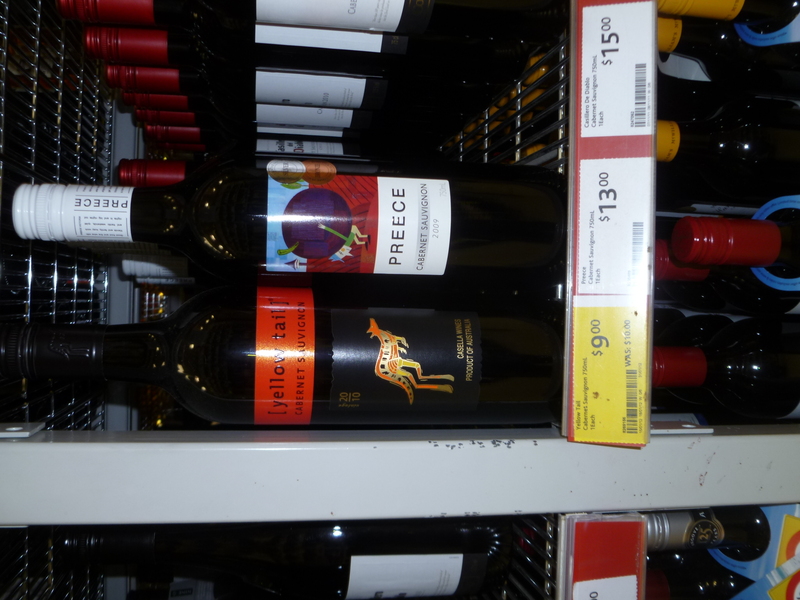 Can you believe a bottle of Yellowtail is cheaper in the US than in Australia? I can get the same bottle at Publix in Gainesville for under $6. 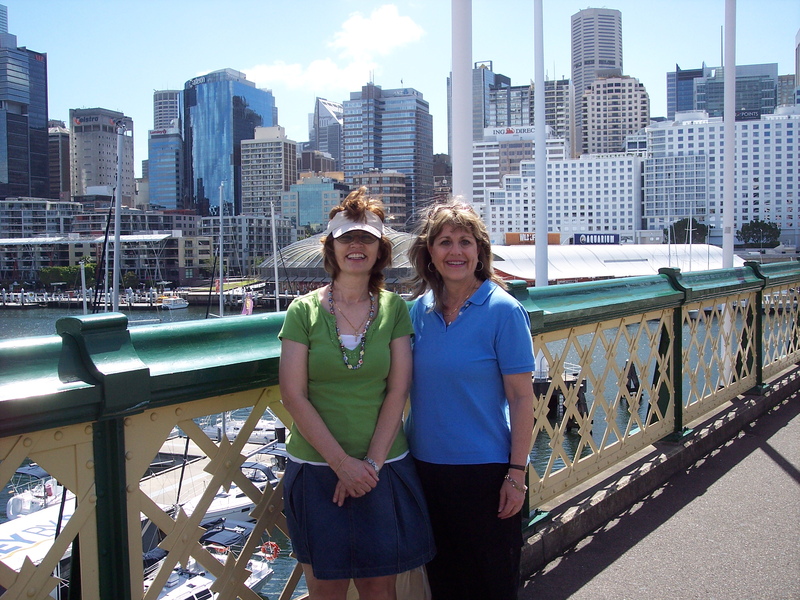 Here’s Mom and Kari on the Darling Harbor Bridge. We walked that thing a million times, since Hotel Ibis was just on the other side. Have you ever seen one of those wildlife shows where the pack of lions tear into some unfortunate grazer? Yeah, it’s kind of like that. Love ya, Australia. I can’t wait until I can move there. 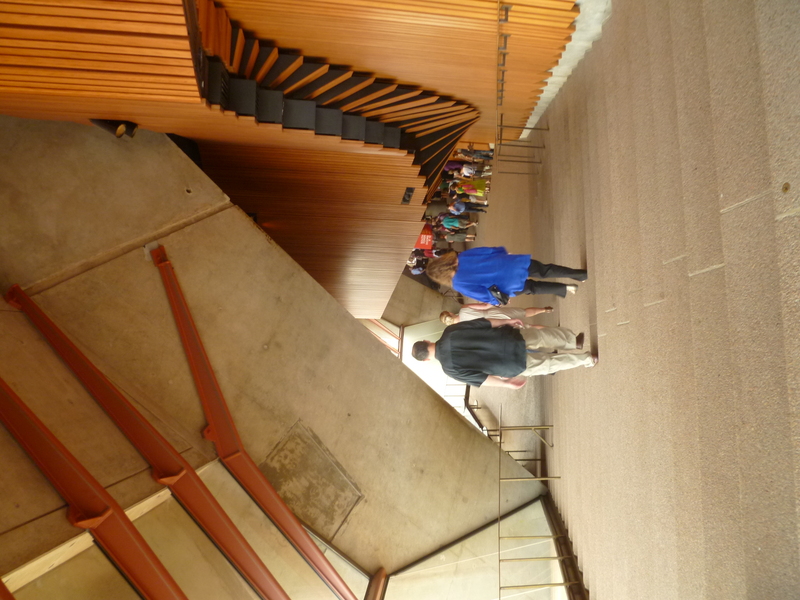 The Sydney Opera House is about as iconic as a building can possibly get. I mean, look at it. What kind of a mad genius comes up with this sort of thing?! The Danish architect Jørn Utzon, that’s who. Crazy brilliant dude who toiled on the Opera House for 9 years before the local Sydney government forced him off the project. 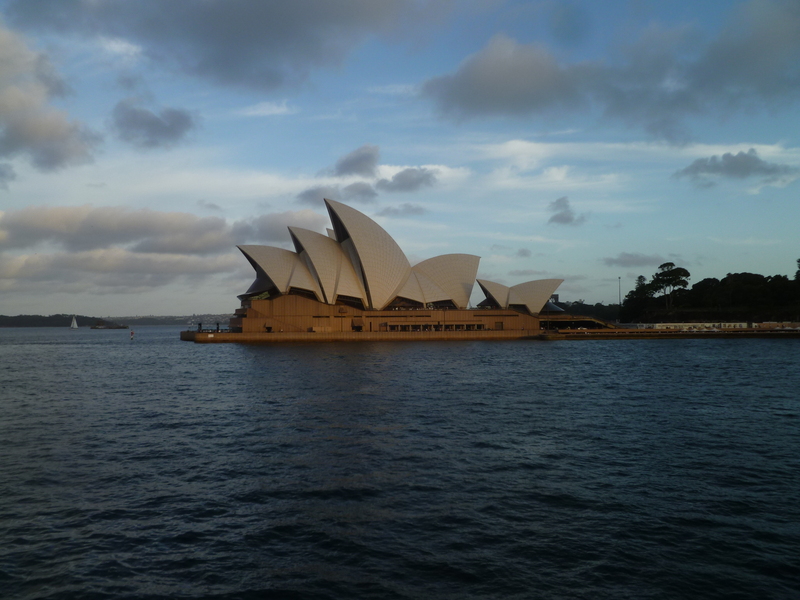 The ensuing scandal ensured that Utzon never saw his masterpiece finished and he never returned to Sydney to see it in person. When he died in 2008, he died without ever seeing the building which brought him such fame and renown. 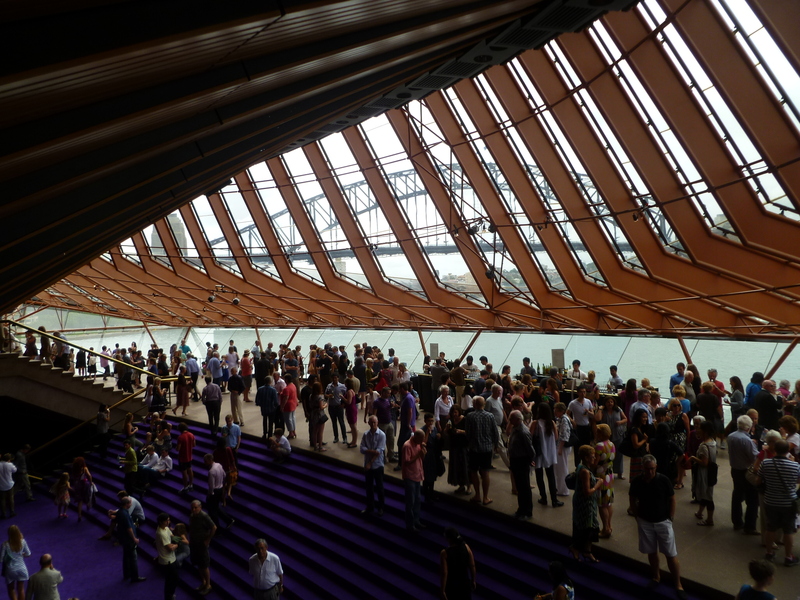 The inside of the Opera House is as weirdly geometric as the outside. Seriously, it looks kind of like Escher was a major influence or something. Mom and I saw West Side Story here. Surprisingly for a New Yorker, I’d never seen the play (or movie) before this. I know, I know. 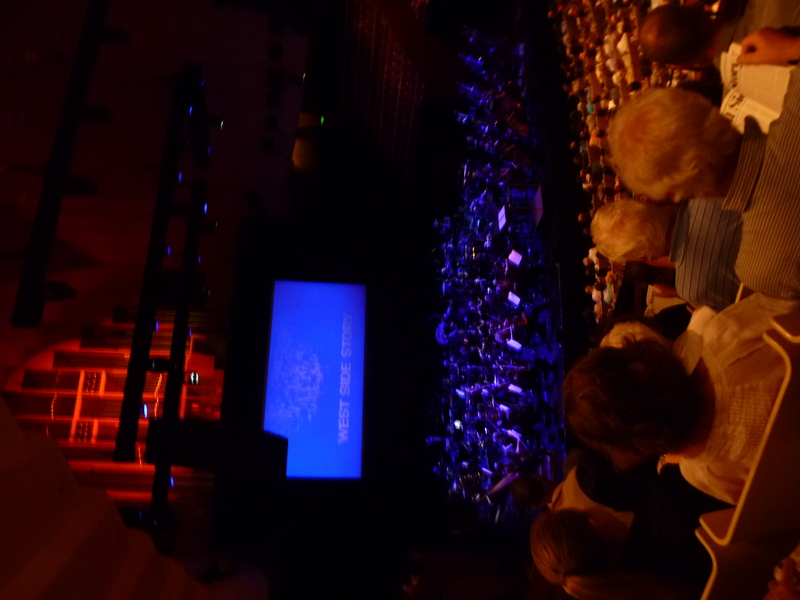 The show here was interesting; they played the 1961 movie with Natalie Wood and had the Sydney Orchestra play the accompanying music. Strange, but pretty cool. We had bought the tickets under the assumption that it was going to be a staged performance of the play, but it turned out well in the end. 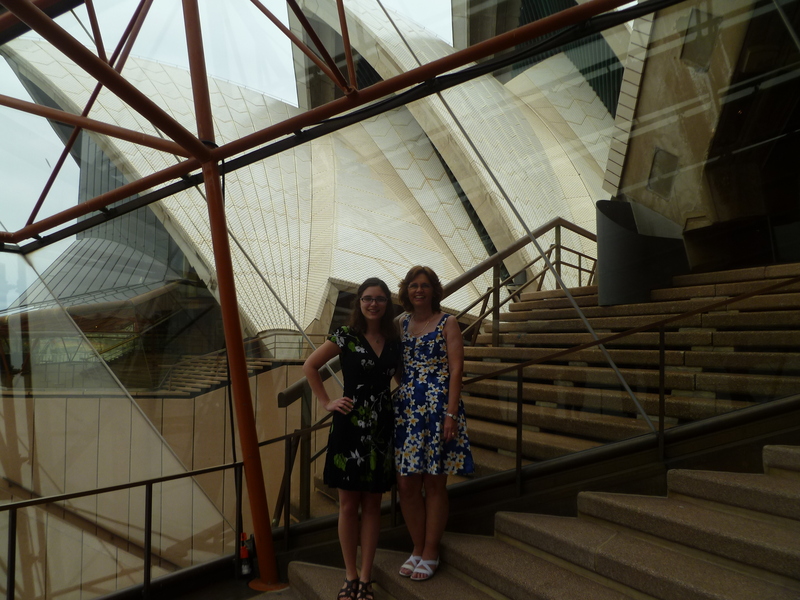 I really enjoyed getting a closer look at the Opera House and it was a really memorable way to end a vacation in Sydney. I feel a song-and-dance coming on. The Harbor Bridge at intermission. 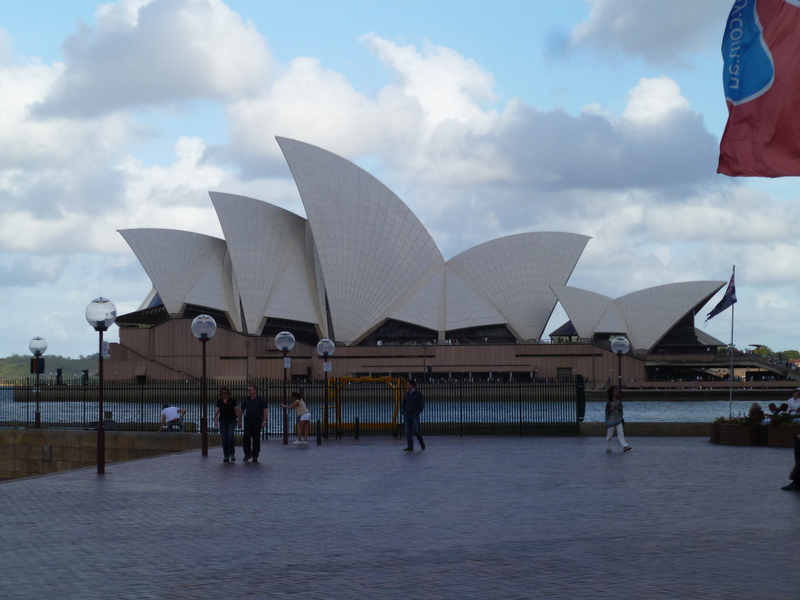 The Opera House dominates the Harbor. I mean, why shouldn’t it? It’s amazing. We took pictures of it at every chance we could get. Mostly, this is just me playing the Law of Averages here. 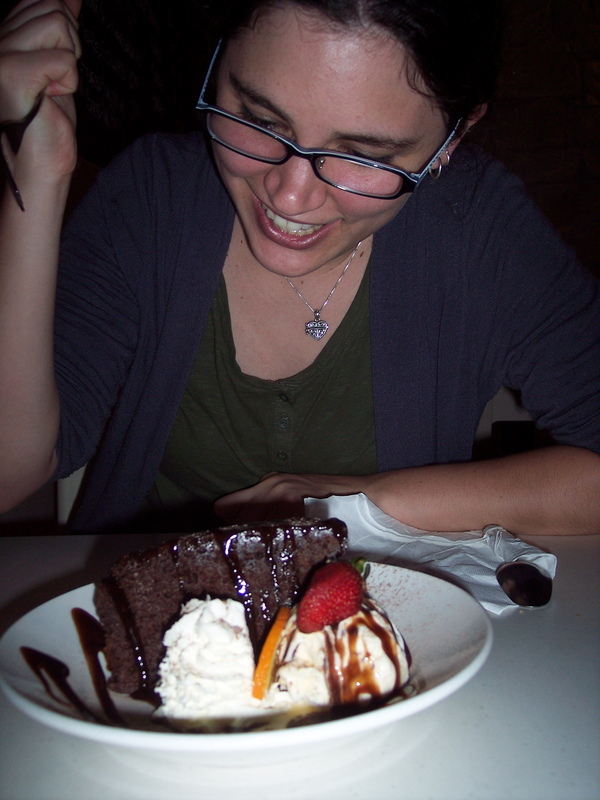 For every picture I show you guys, there’s two dozen terrible ones languishing on my hard drive. About a week earlier, we visited on a beautiful, sunny day with the impossibly puffy white clouds in the bright blue sky – the sort of day I live for. Thankfully, these photos turned out well. 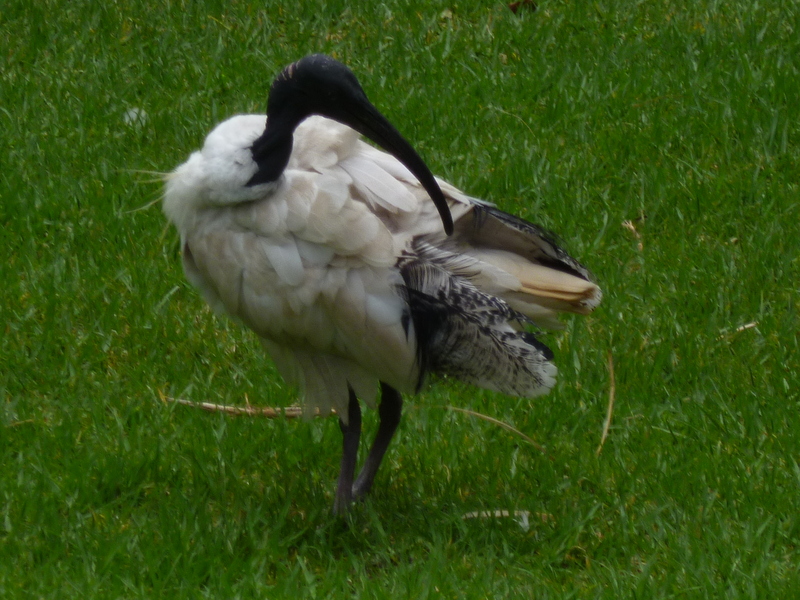 Don’t worry, internet, this week is the last of my Australia posts. After a quick detour to Bangkok, we’ll be back to me complaining about Chengdu in no time at all! 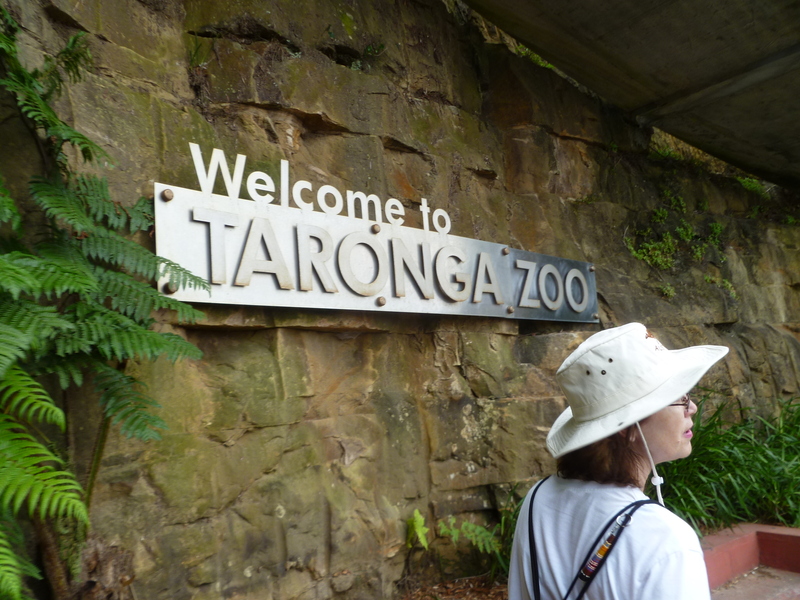 Taronga Zoo was on my list of must-see’s from the very beginning. 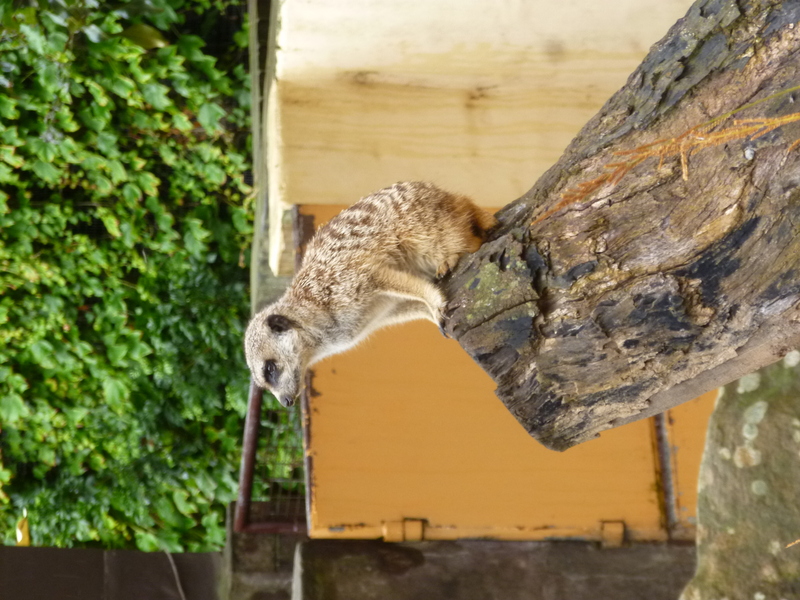 I like going to zoos. The sheer variety in the animal kingdom is astounding and it’s cool to see how different creatures adapt to different environments. That’s not to say that zoos don’t have their problems, like the issue of domestication, small animal enclosures, and animal mistreatment, (Sea World, I’m looking disapprovingly at you.) 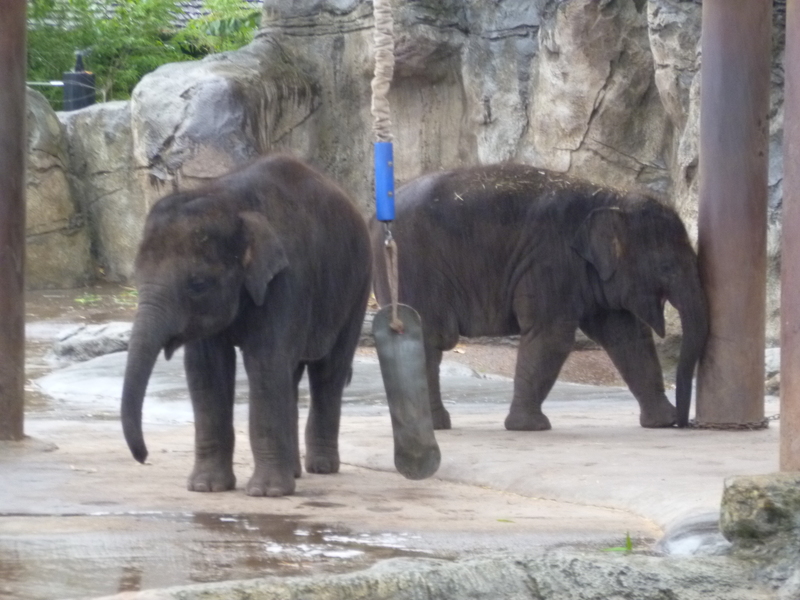 but for the most part zoos are being run by good people who genuinely care about the animals in their care. 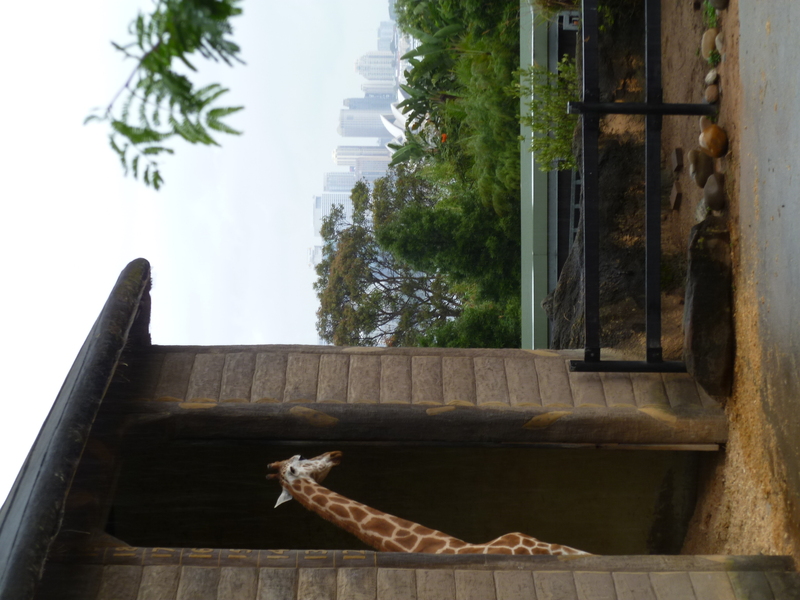 Taronga Zoo is one of those. 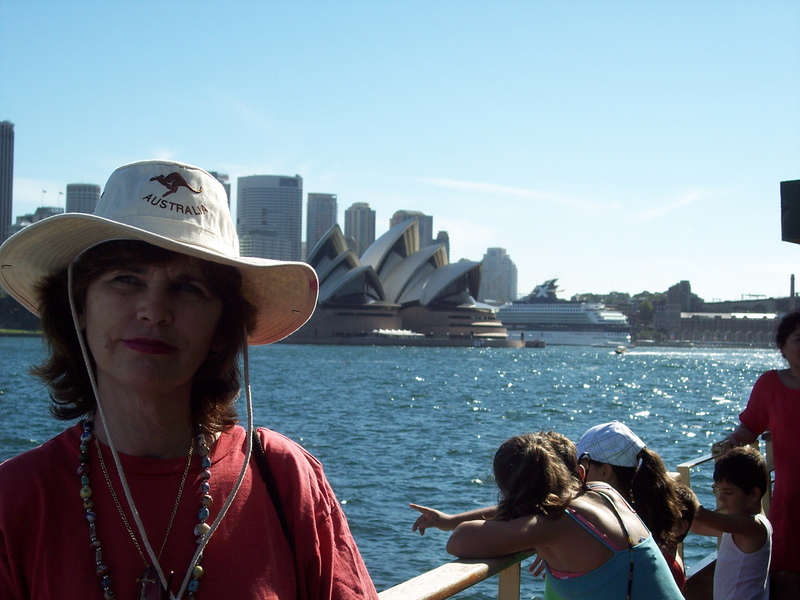 To get to Taronga Zoo, Mom and I bough the ferry / zoo entry tickets from Circular Quay. 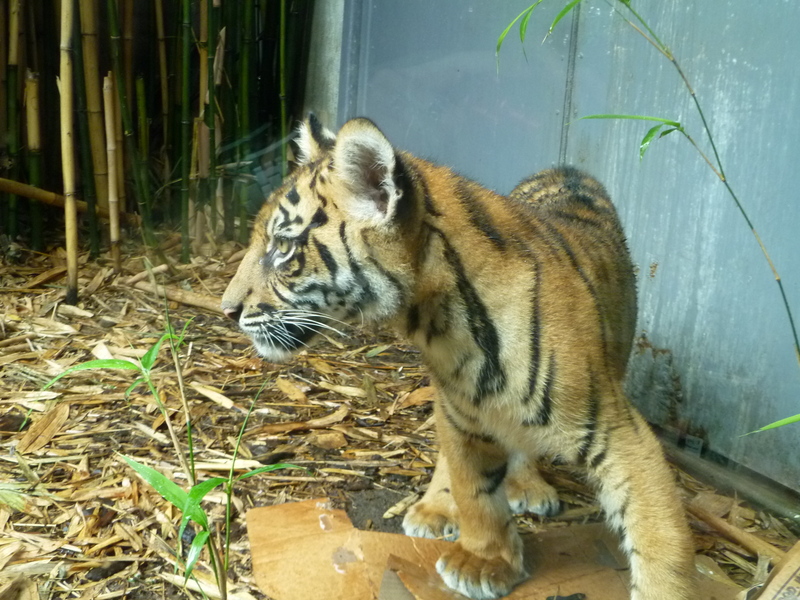 It’s only a twelve minute ride across the harbour to the zoo. It took much longer to get from the ferry terminal to the sky rail, which dumps you off at the top of the park. 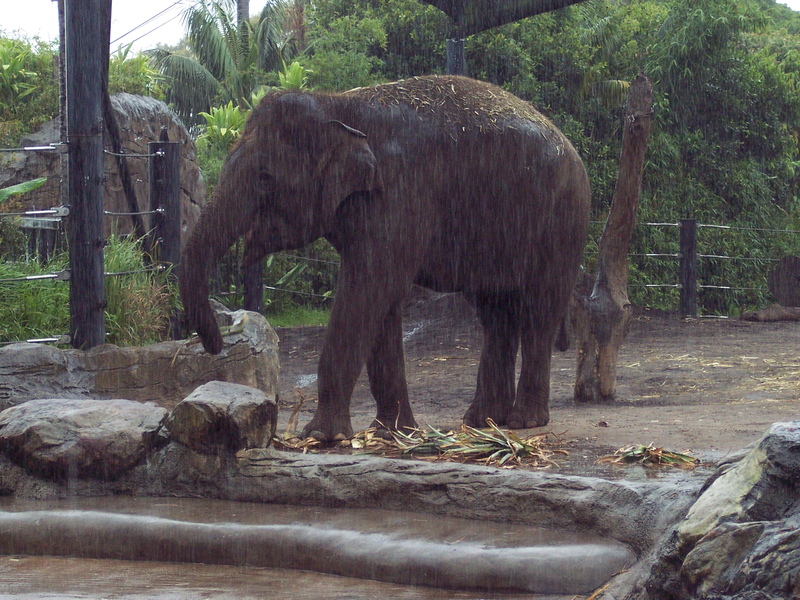 We went to Taronga Zoo on a cloudy, sort of wet day. This was a good thing, as the cooler temperatures meant that the animals were much more active and doing interesting things. It also made all the walking around that much more comfortable. A little rain isn’t the worst thing in the world. 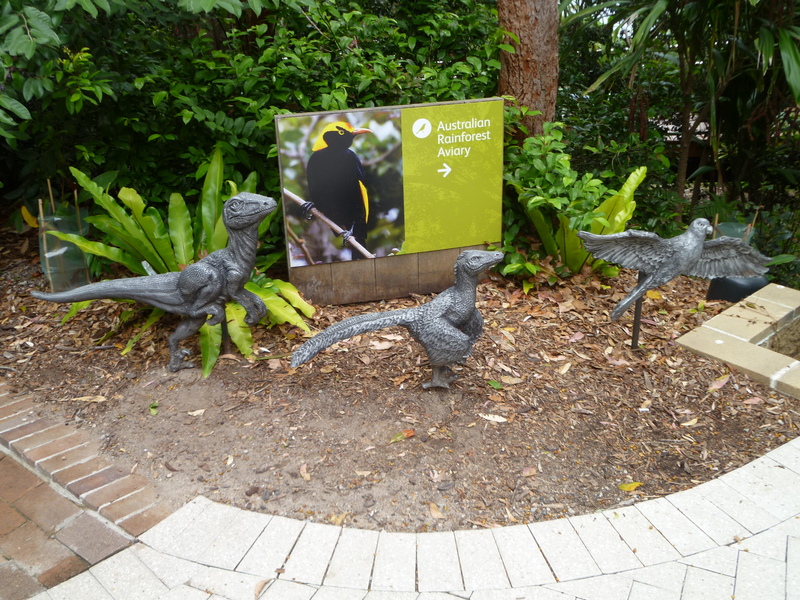 Clearly, Taronga Zoo knows exactly how to make birds more interesting and relevant to me. 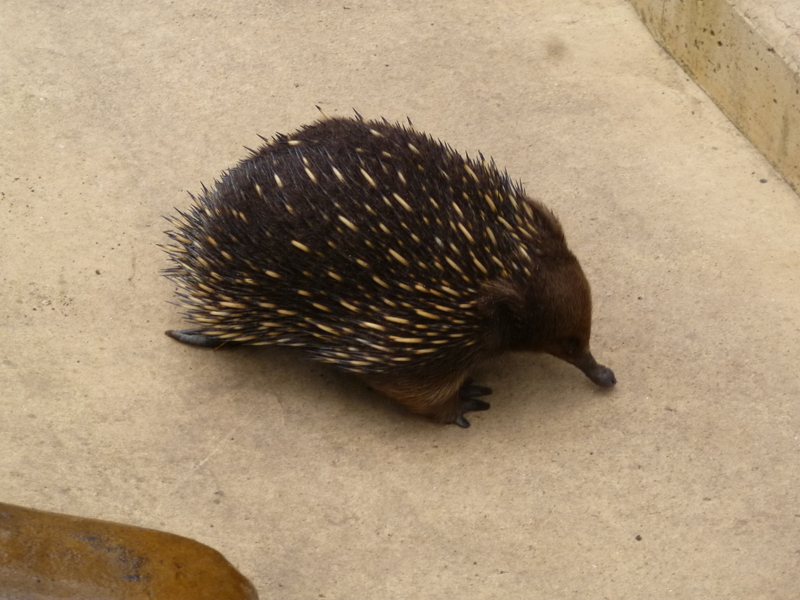 Echidna, another weird monotreme. Related to the platypus. This bird has a neon yellow beak. I want it. 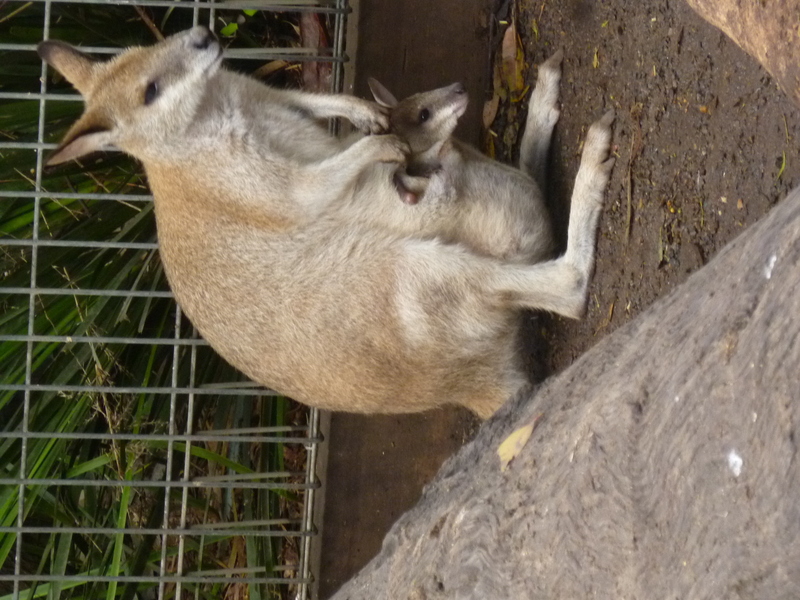 We all have days like that, Mr. Gray Kangaroo. 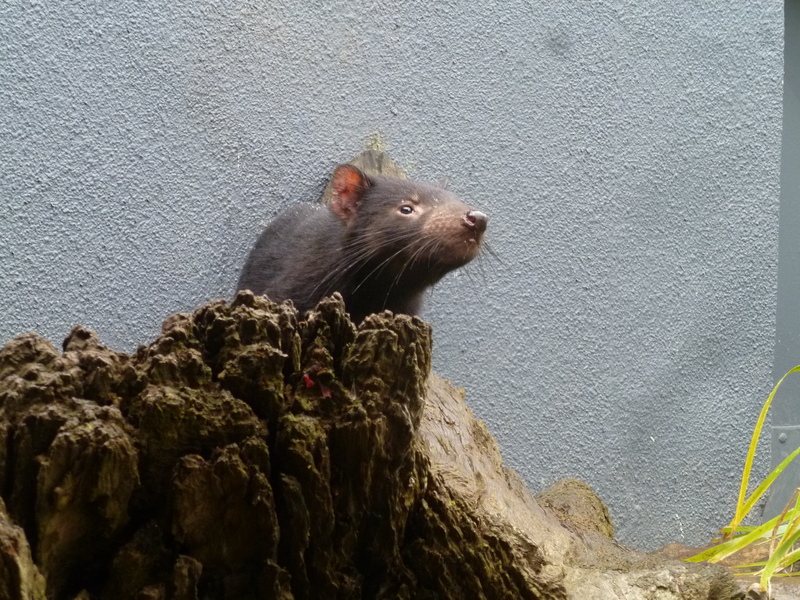 Why hello there Tasmanian devil. 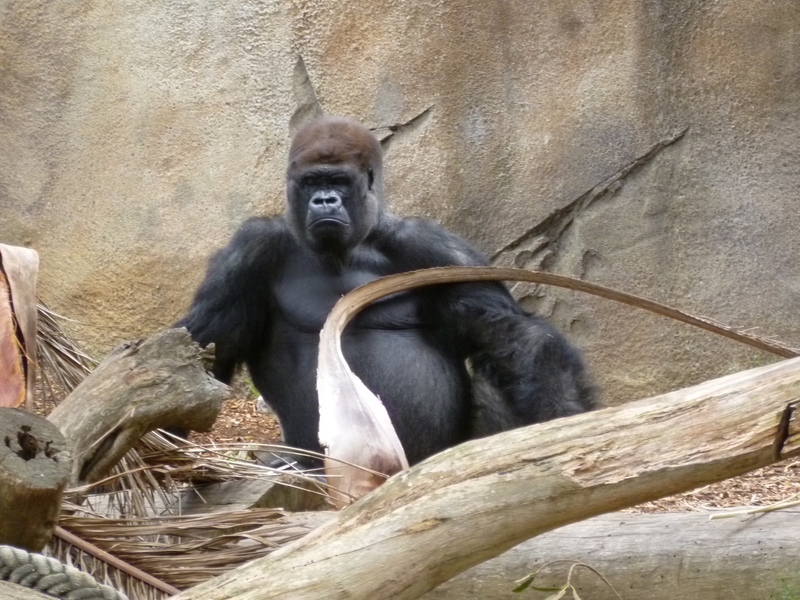 Papa Gorilla is Not Amused. 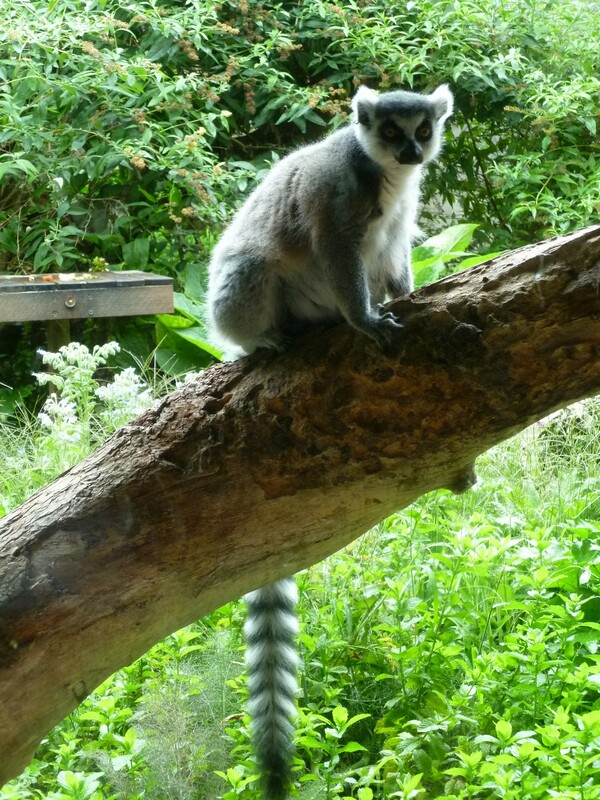 Ring-tailed lemurs always look surprised to me. It’s the eyes. Right about here it stopped drizzling and started downpouring. We could handle the slight misting, but not the buckets of water. This was the point where we caved and bought the always stylish rain ponchos emblazoned with the Taronga Zoo platypus mascot. Worth it. 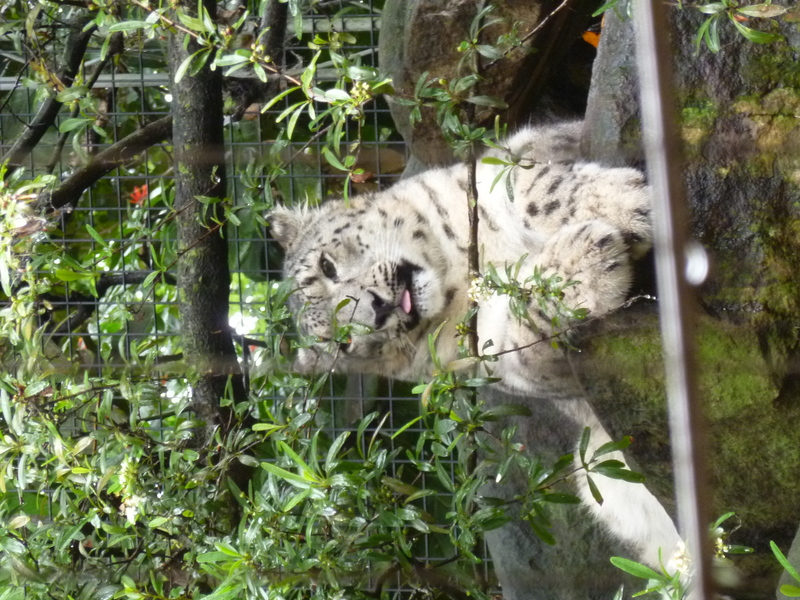 snow leopards are cool characters. 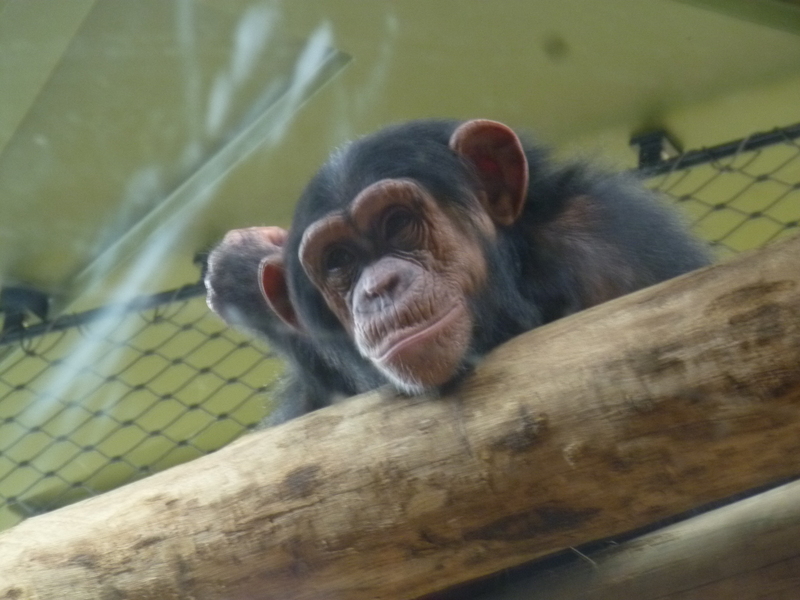 A young chimpanzee, amused at the weird apes on the other side of the glass. Food! 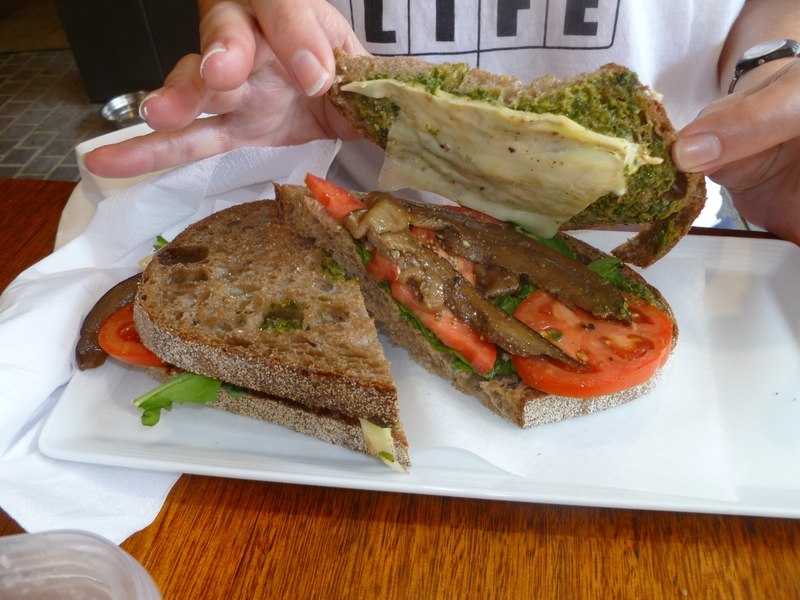 OMG, the food in Sydney was absolutely delicious. Honestly. 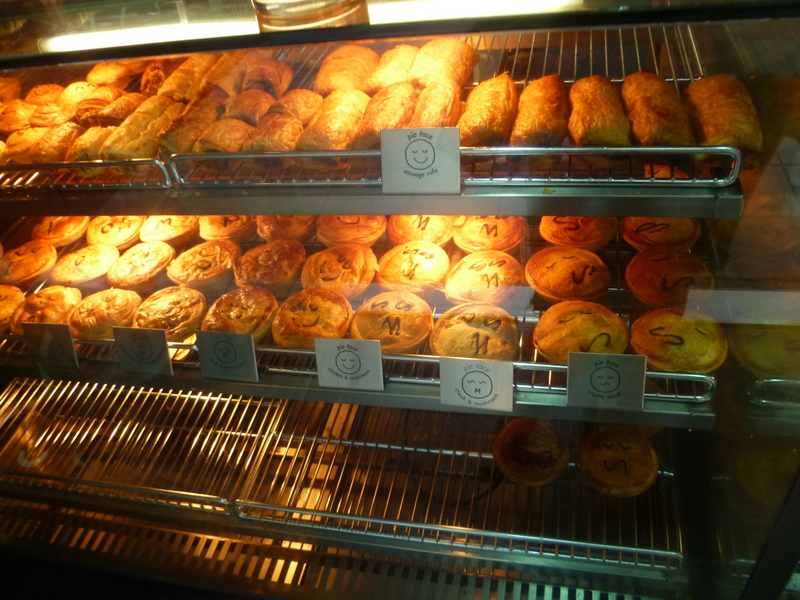 Go there, people, the food is awesome. I want to give special props to sara_l_r of the Golden Horde for pointing me in the direction of David Lebovitz’s Australia posts; he did not lead us astray once. Seriously, that was the restaurant’s name. It was just off the main waterfront and it was divine. The food was excellent. 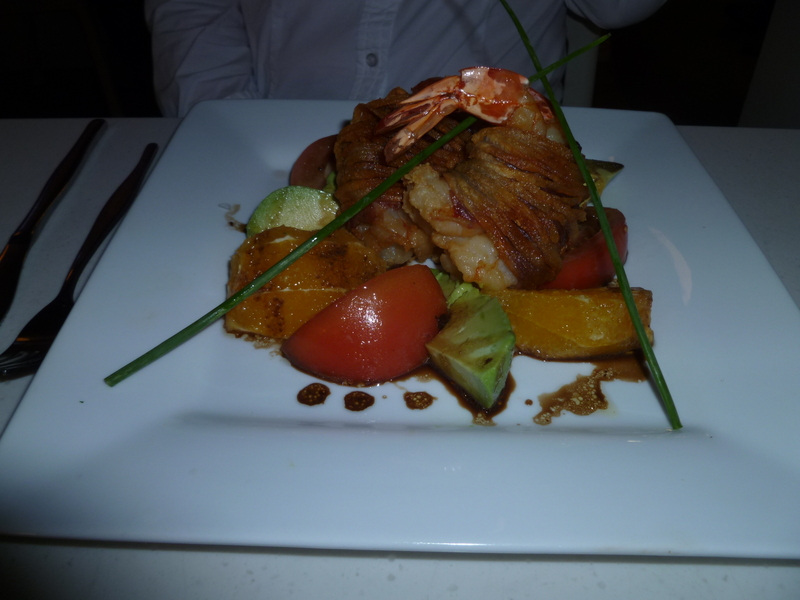 Mom had prawns, wrapped in bacon and thin potato slices and then fried, over a bed of mango salad. Mmmmm. SO good. 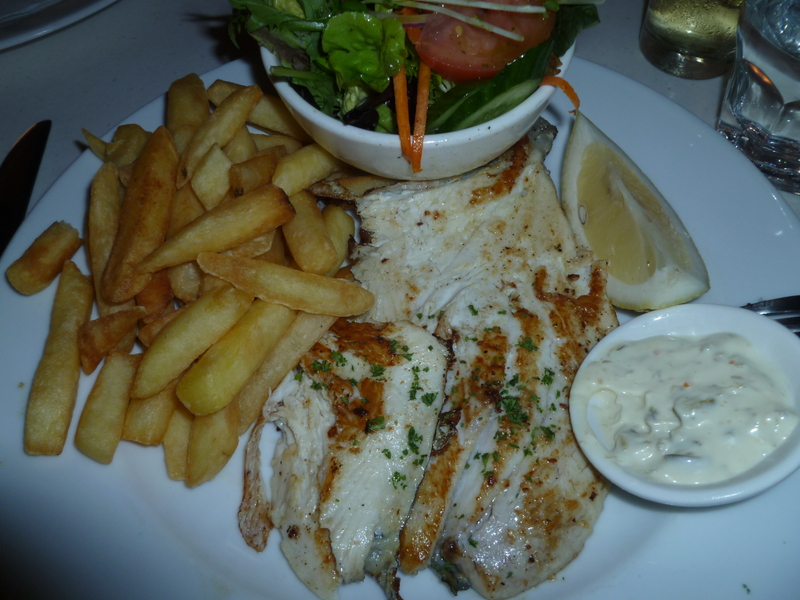 I had a white fish, John Dory, grilled with a delicious sauce. 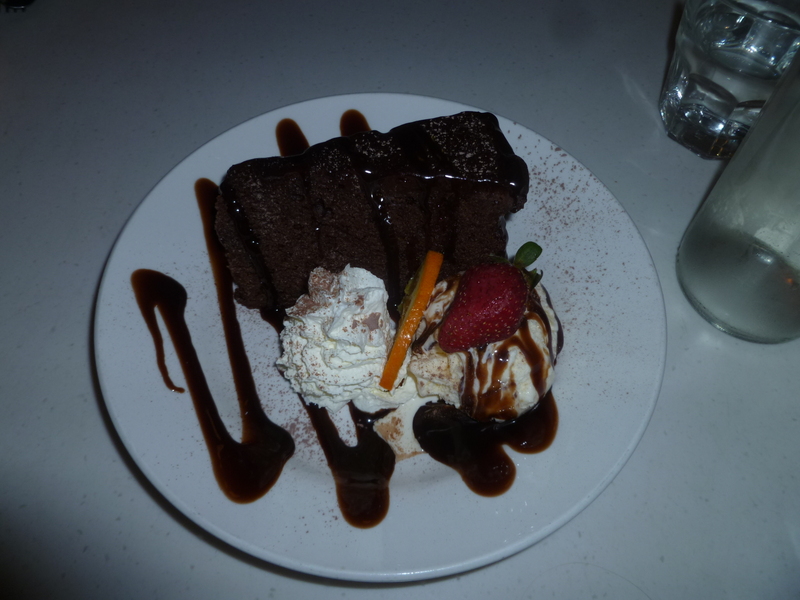 Dessert was a warm chocolate cake with chocolate ganache and vanilla ice cream. Totally delish. Worth every penny and a great way to end a day at Manly Beach. We went here on the recommendation of the valet at the Marriott. Thanks, man. This was the first place we had even seen a waiting line to get in; we spent about twenty minutes wait before we were seated and that was at the dinner rush. Mamak is a Malaysian restaurant located in Chinatown and if you are going to Sydney you MUST go there. Oh man, it was phenomenal. Mom liked it, I loved it, and the food was deliciously spicy. 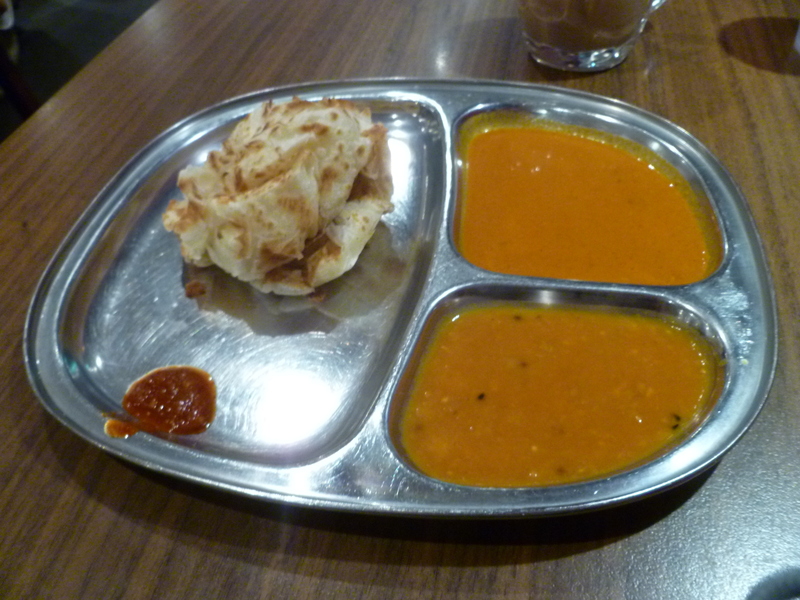 Above (left) is the original roti, the roti canai. Like I told Mom, every culture out there worth its salt has a version of fried dough and all of them are amazing. 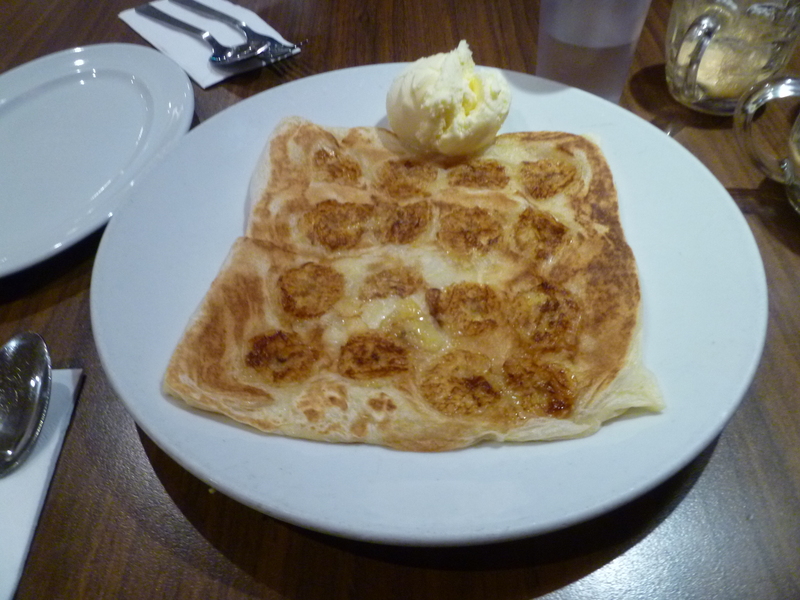 Malaysia’s version is an egg dough that’s been fried and served with two curry sauces. 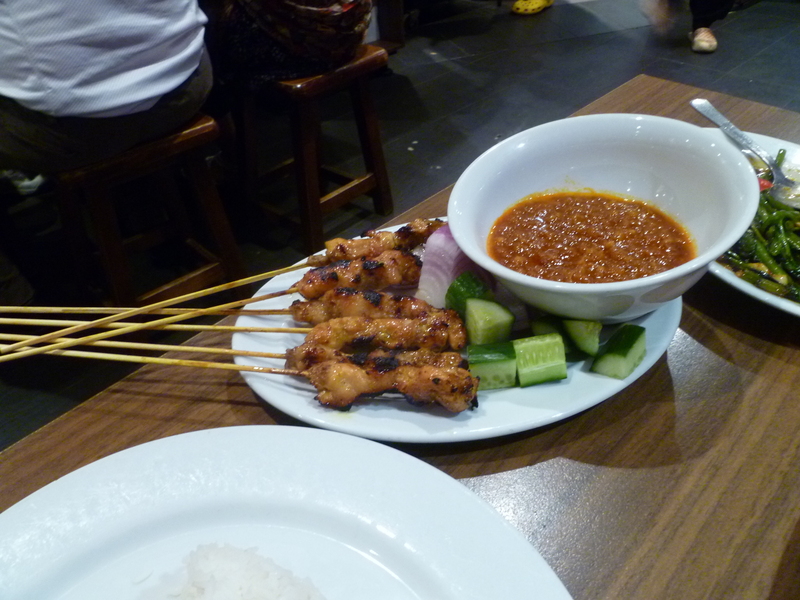 We also got the chicken satay (above, right), which was the best I’ve ever had so far in my life. For a more balanced meal, we decided on the kangkung belacan, which is stir-fried spinach with chillies and shrimp paste. This was a little spicy for Mom, but after six months in Chengdu the hot chillies don’t even phase me. 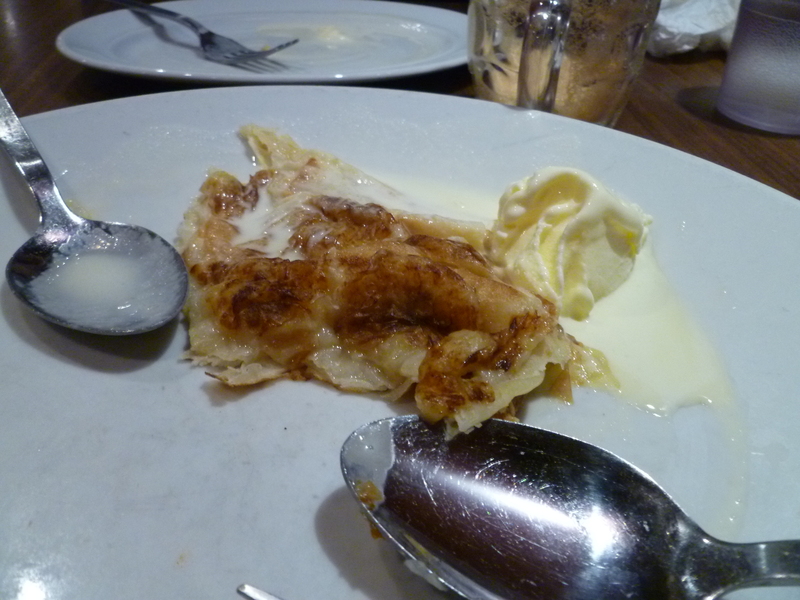 For dessert, there was the absolutely amazing roti pisang, a sweet fried dough with sliced bananas and vanilla ice cream. It was tough, but we really just had to force ourselves to eat it all. 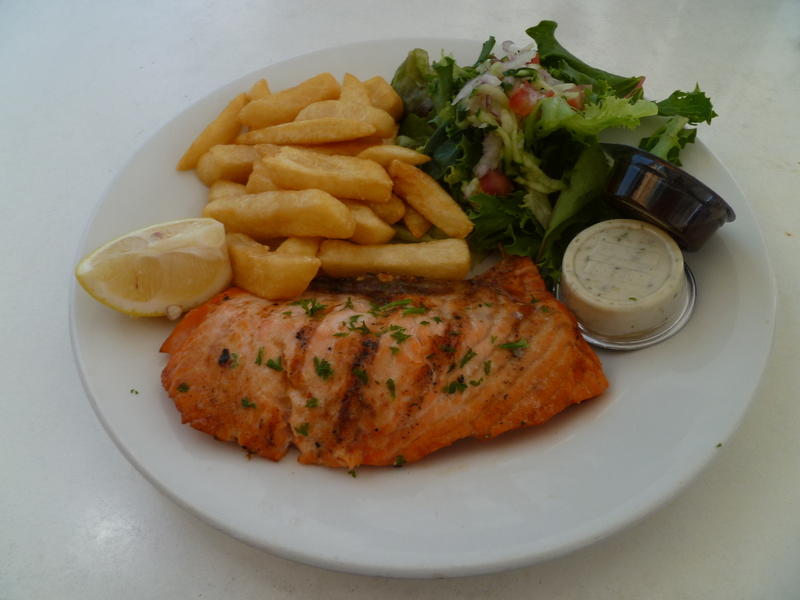 Fresh fish, cooked right on the wharf. 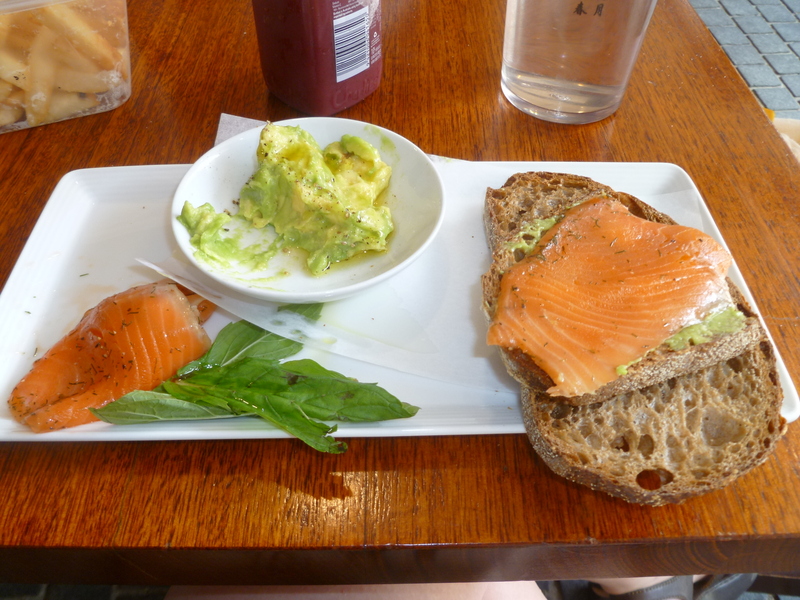 I had the Tasmanian salmon and it was delicious. 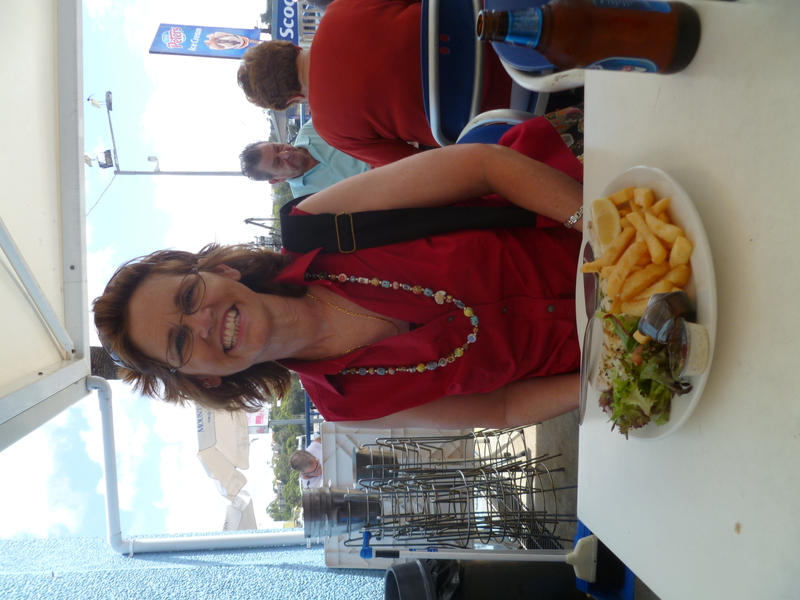 Mom had some white fish (can’t remember, barramundi?) and was pleased as well. The french fries were good too, but the ketchup was weird. Besides that, I do recommend it. It’s a lunch joint and they close at 4pm, but the place was hopping when we got there at 3. The seagulls are particularly annoying, but that’s how it goes. Great food at a reasonable price. Okay, you know how I said how it was downright painful to find someplace to eat in downtown Sydney after 8pm? Yeah. This was one of the restaurants we went to when practically everything else had closed and we were getting snippy from low blood sugar. Wagamama is a modern noodle bar. It wasn’t too bad, I guess. For one thing, I got to see Mom’s mad chopsticks skillz. (Love ya!) I got a fried udon noodle dish – big flat noodles stir-fried with a variety of toppings, including my old nemesis, shredded dried pork. Frankly, it was just okay. What really made the place stand out in my mind was the drink I ordered with dinner, an apple cinnamon vodka concoction that was absolutely delicious. I swiped one of Kari’s chicken satays; another okay. This place is consistently okay., but probably not worth the price unless you’re here for the lunch specials. With a name like that, you’d assume this would be a cool little diner-type all day brekkie joint. Nope. It’s the Australian version of IHOP. And after two weeks of delicious food, it just doesn’t compare. Go somewhere else, young grasshopper. I’m a pretty simple creature, internet. When looking for a place to go on vacation, I wanted somewhere with blue skies and sunny beaches. The rest was pretty incidental. 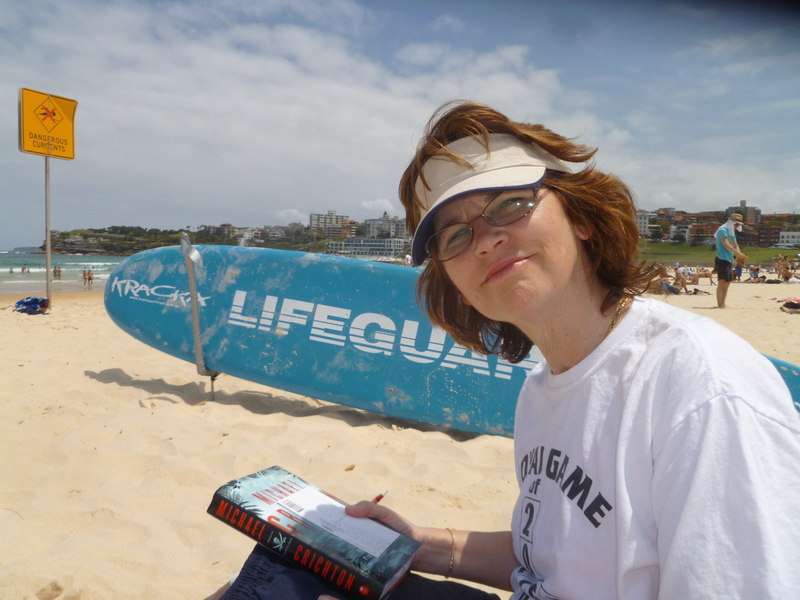 It’s almost tragic how little time I spent at the beach in Australia, given that we went to Australia in an unusually cool and wet summer. Everyone we talked to practically apologized for the “bad weather”, a balmy 85F and breezy, if slightly cloudy. The second week, okay, it was a little wet in the way torrential downpours usually are. Oh, well. I mean, my odds of getting skin cancer in the future probably went down, but I left with the saddest tan in the history of vampiricly pale white girls. 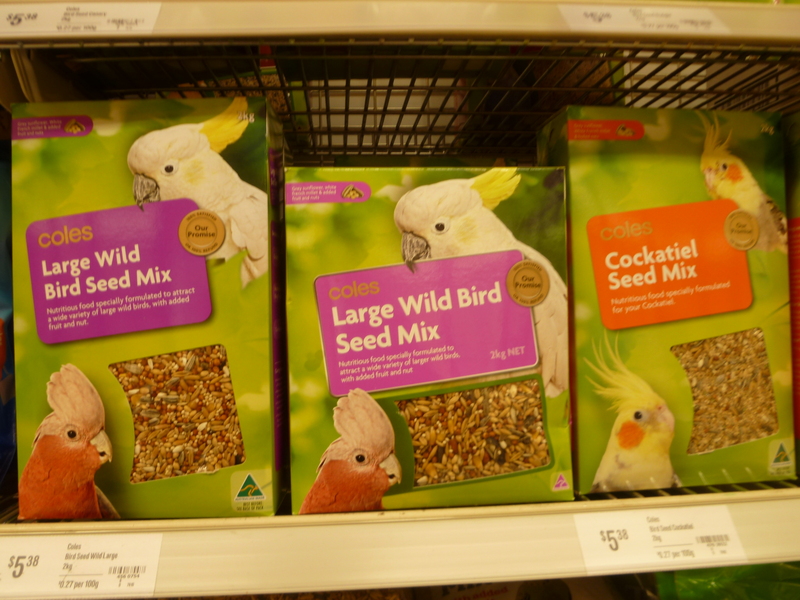 On the other hand, I got to see more of what Australia is really like, not just the view from the beach. The view from the beach was pretty damn sweet, though. 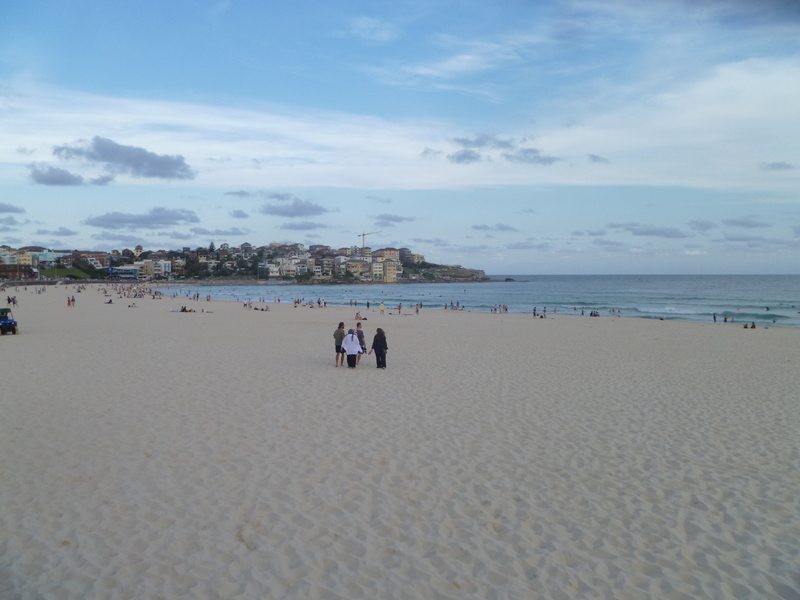 Bondi Beach is the famous one, and with good reason. It’s got beautiful white sand and gorgeous surf, and the cliffs rising around the beach bracket a long wide expanse of sand for sun worshipers to indulge in the great weather. For the non-Aussies, it’s pronounced BOND-eye, which only took the entire trip to get used to. 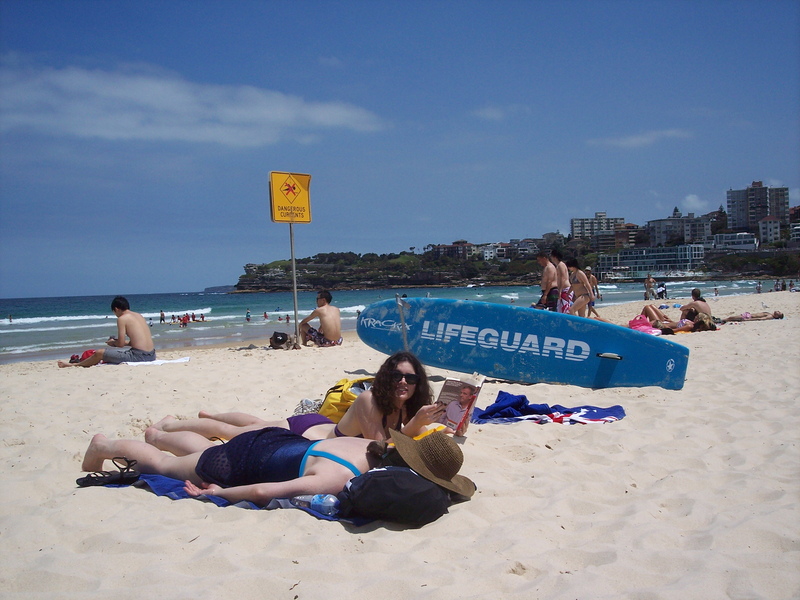 Most people take the bus to Bondi, which drives through downtown Sydney and along Oxford Street into the suburbs, where the beach is located. I liked that, if only for a view of Sydney neighborhoods. I like to think of Oxford Street as the Williamsburg to downtown Sydney’s Manhattan, complete with hipsters and cooler-than-they-have-any-right-to-be retail shops. Mom and I went here three times, early in the morning, midday, and at sundown. It was pretty each time, and I really did like it at night, even if the wind picked up sand and whipped right on through us. We even figured out where the damn Southern Cross is (and maybe Mars? ), which was a triumph of a mediocre Astronomy student like myself. Also, the crazy beach bums come out at night, including the junkie lady who noted that the bathrooms in prison were cleaner. 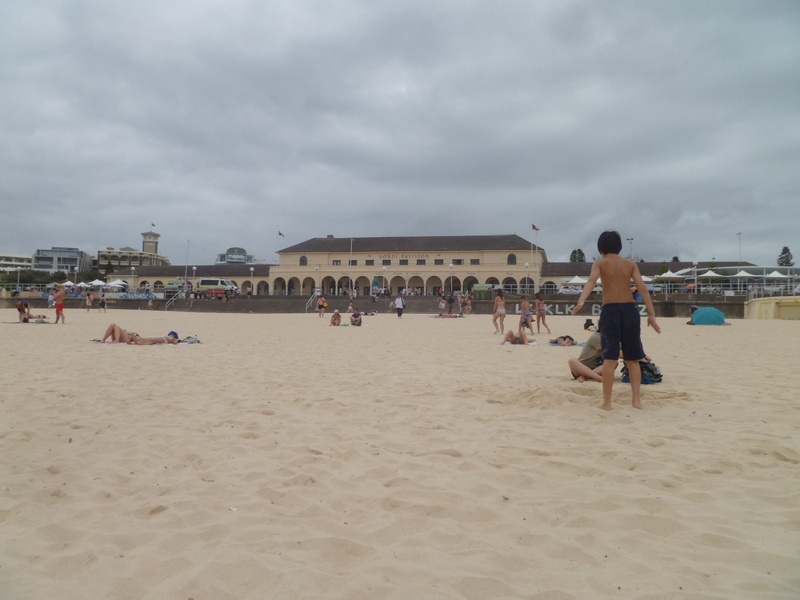 We also went to Manly Beach, on the recommendation of the Horde. Thanks, guys! It was a cloudy day, but the sun broke through the gray and gave us an hour or so of sunshine. I poked a toe in the water, but frankly, that was about as cold as I was willing to get. Manly Beach was less touristy, in the sense that this was a beach that more locals went to, than the super-touristy Bondi. 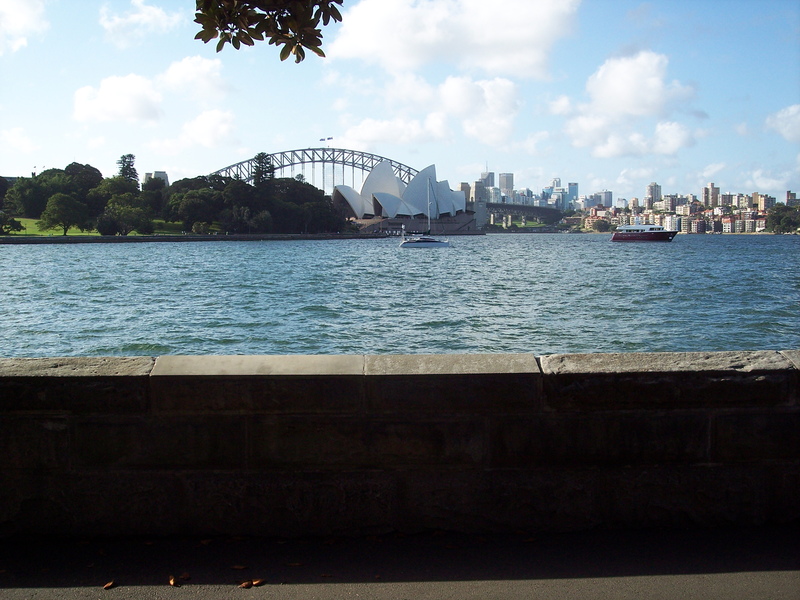 You had to take a ferry to get there from Circular Quay, and the 20 minute ride was pretty cool, staring off from right next to the Opera House, skirting the open channel to the Pacific Ocean, and heading in to a protected cove. The beach itself was a fifteen minute stroll from the ferry. It’s hard to say which of the two beaches I liked more. 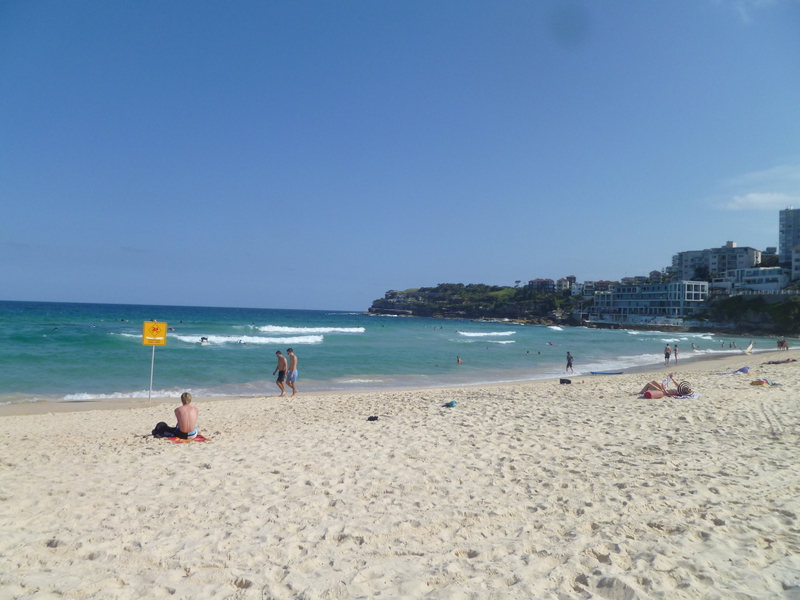 Bondi was beautiful, but had the advantage of better weather. 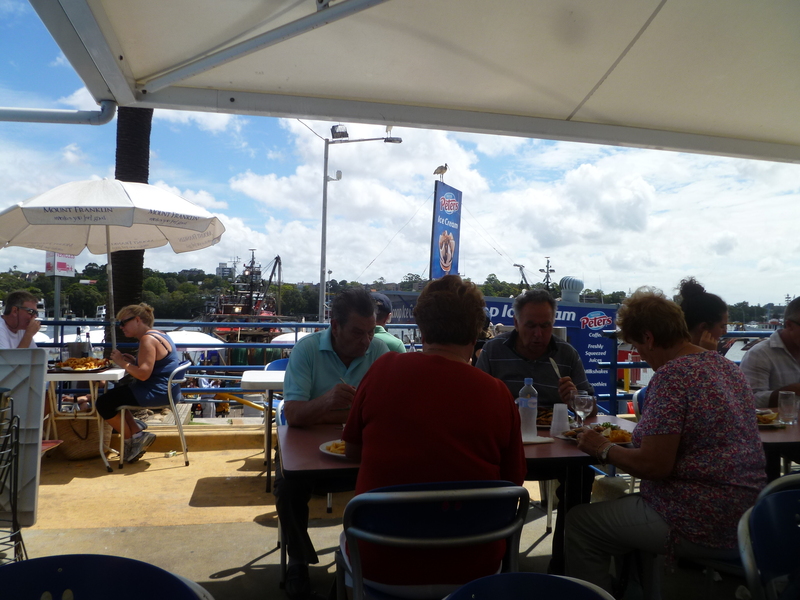 Manly was definitely quieter and had an excellent fish restaurant just off the waterfront. 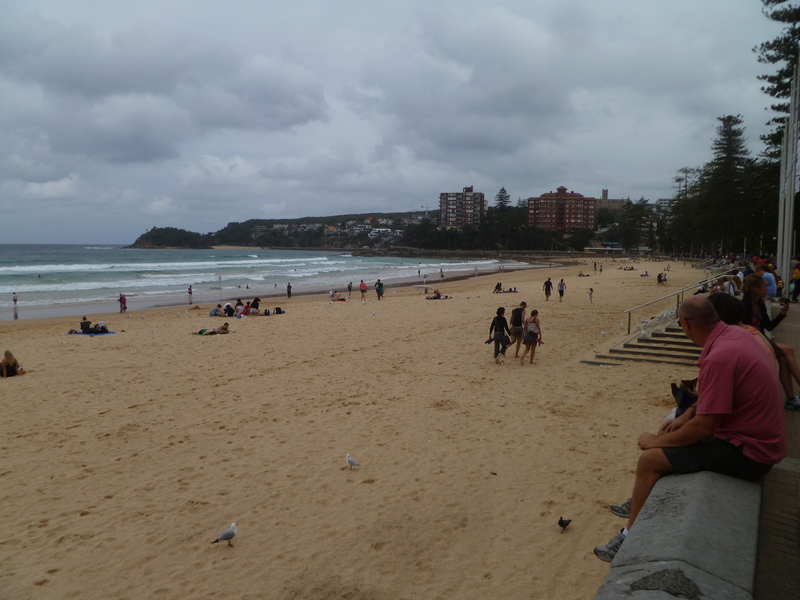 Between the two, I would probably suggest Manly Beach, just for the lack of crowds. Seriously though, both were pretty damn awesome. You know, as I explore more of the world, I can’t help but come to an obvious if slightly controversial opinion about geography: the British were terrifically bad at naming things. I mean, there’s a half-dozen Londons, Bristols, Surreys, New Englands, New South Wales, New York, New whatever across the globe. Reading off the list of neighborhoods in the Sydney metropolitan area, a listener could easily be confused with London tube stations. Even a casual Anglophile like myself* gets a little mixed up. But man, do they ever like to name stuff after their royalty. 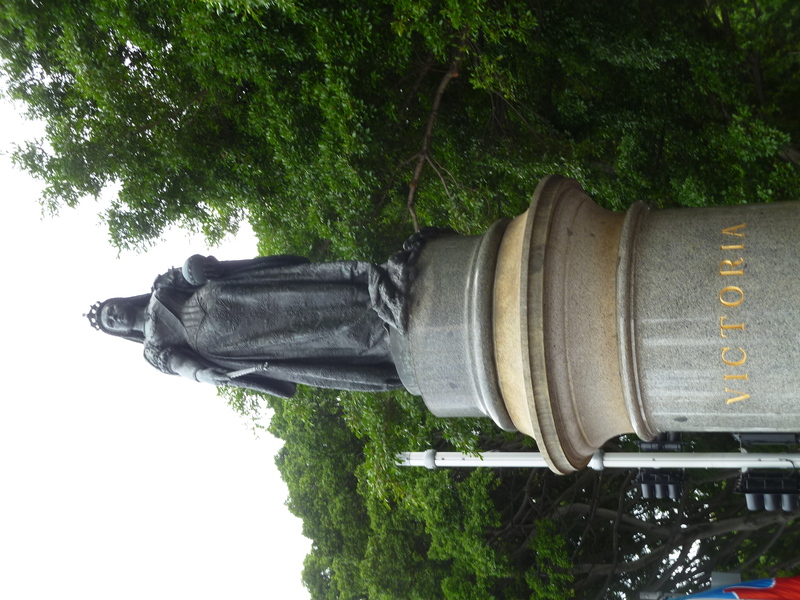 Australia is awash with Victoria places, monuments, plaques, and statues. There’s one of her favorite dog just outside the spectacular Queen Victoria Building. This makes sense, given that she was the queen (Empress?) of Australia at its’ founding. 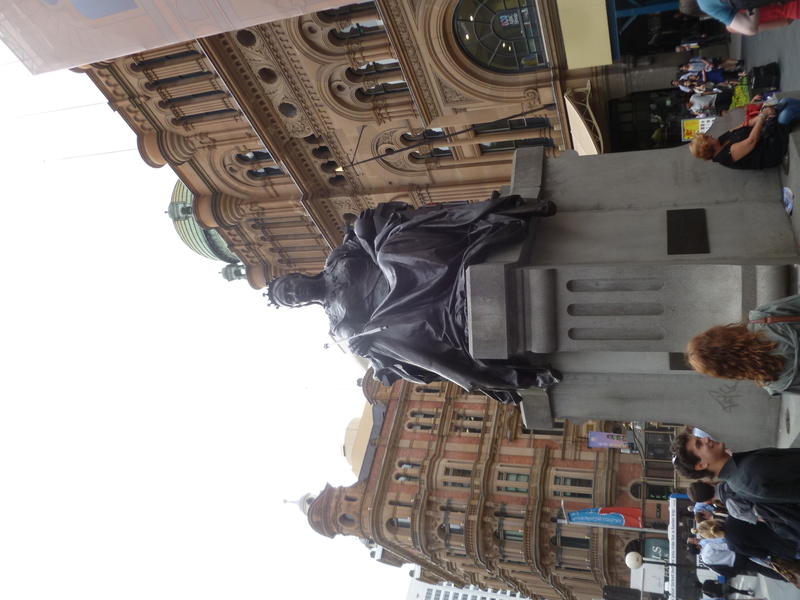 My favorite is a pair of statues just off the main cathedral in downtown Sydney, one of her and one of her consort, Prince Albert. Sorry about the terrible pic resolution. The inscriptions read: “VICTORIA” and “The People of New South Wales to ALBERT the GOOD, Prince Consort of QUEEN VICTORIA 1866”. Victoria’s just a really weirdly awesome person, anyways. I mean, how does a half-German princess who speaks German and marries a German prince become Queen of England, let alone Empress of India and the British Empire**? The answer lies in the supremely interconnected royal families of Europe. But mostly, it happened because all the dudes in her father’s family kicked the bucket without having any male children. Victoria was the daughter of an English Prince and a German Princess. Said English prince, Edward, was the fourth son of King George III. In the intervening years between Victoria’s birth to her 18th majority, all five people in line for the throne died, mostly due to old age. Victoria grew up isolated but very well educated by her strict mother. She ascends to the throne at the tender age of 18. At this point, Britain is already a constitutional monarchy, so she has little real political power, but a great deal of influence. Unfortunately, as an unmarried woman, she still has to deal with conventional social mores, which means she still has to live with her mom. Not even the Queen gets out of this sort of crap. There’s a couple of names being bandied about, but Victoria has eyes for only one of them, a handsome German prince who happens to be her first cousin. Eww. Despite this, they fall in love. Good for her. So Victoria marries Albert and from all accounts*** it was a happy marriage. They have a bunch of kids, every thing’s fine. Then, Albert dies of typhoid fever at the age of 42. Victoria’s completely distraught over the untimely death of her husband, puts on the mourning black, and keeps her youngest daughter at her side permanently. **** The other kids marry well, which is actually a bit of a problem. See, Victoria is a carrier for hemophilia, a disease where your blood doesn’t clot, so a paper cut becomes deathly serious. This means two of her daughters were carriers and her son Leopold had the disease. Suddenly, the royal families of Europe are infected with hemophilia as well, the most famous example being the Romanov’s of Russia. ANWYAYS, in between being not amused, Queen Victoria also did interesting things like fending off at least eight assassination attempts, had nine kids, and kept a detailed daily journal, averaging about 2500 words a day. She’d totally win a NaNoWriMo with that sort of word count. In the end, Queen Victoria held the throne for an astonishing 63 years, the longest reigning British Queen and the longest reigning Queen in world history. *If the definition of Anglophile is “someone who watches Doctor Who and Top Gear”. **Did a bit of research, almost certainly have still got the title mixed up. British people still wince when I call everyone from the UK “English”. *** Kate Beaton’s Hark A Vagrant is a valid historical source, right? ****According to Mom, this is a common (if old fashioned) practice among the Irish, where the youngest girl wouldn’t marry but would stay with the parents and care for them in their old age. *****Yes, yes, I know that in cases where you want to strengthen certain characteristics like in champion dog breeding or trying for the Kwisatz Haderach, you often breed closely to the line. This also results in things like hip dysplasia, the Hapsburg chin, or congenital idiocy. 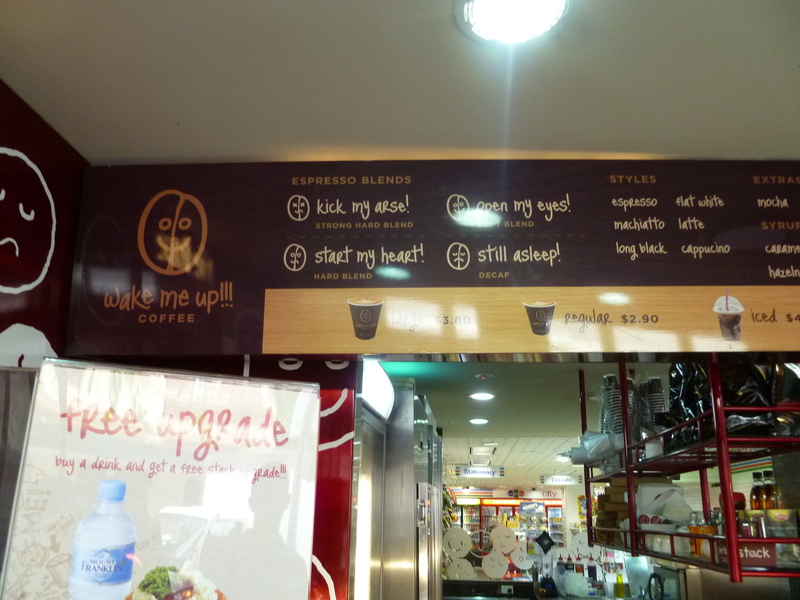 It’s hard for me to talk about Australia without descending into amusing hyperbole. I can’t tell right now if it’s the sunny blue skies, the warmth, or just the sheer joy of being in a awesome city with great architecture, amazing food, friendly locals, and gorgeous beaches. 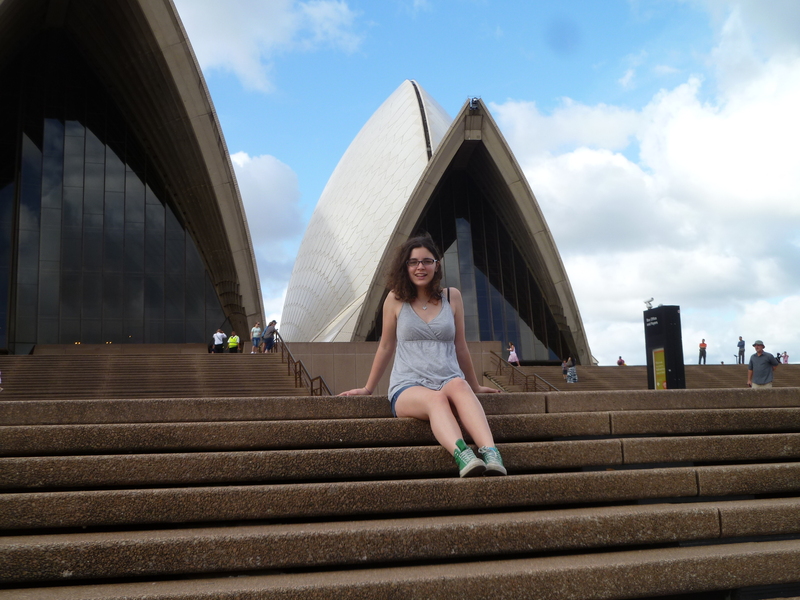 Sydney is worth the time and money and effort, you guys. 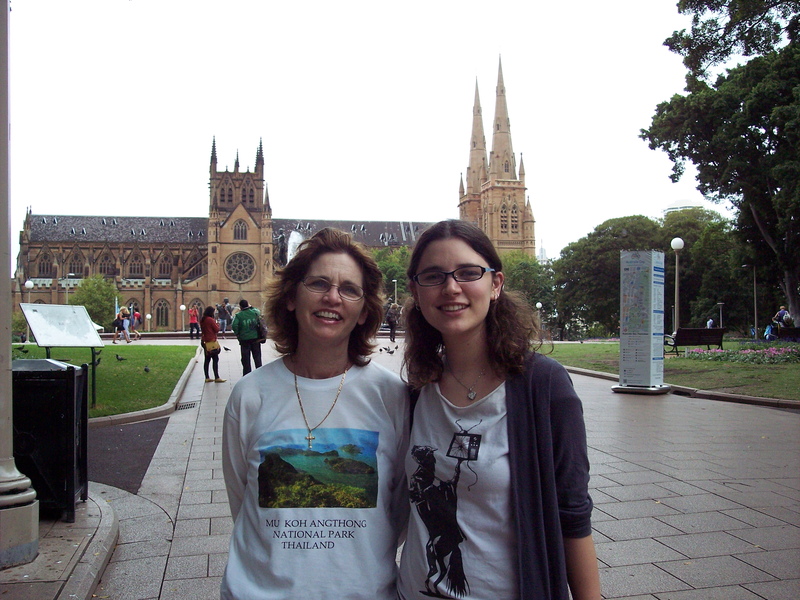 I went to Australia with Mom and her bff Kari. (Hi guys!) Vacationing with the parents is always different than vacationing with the friends. 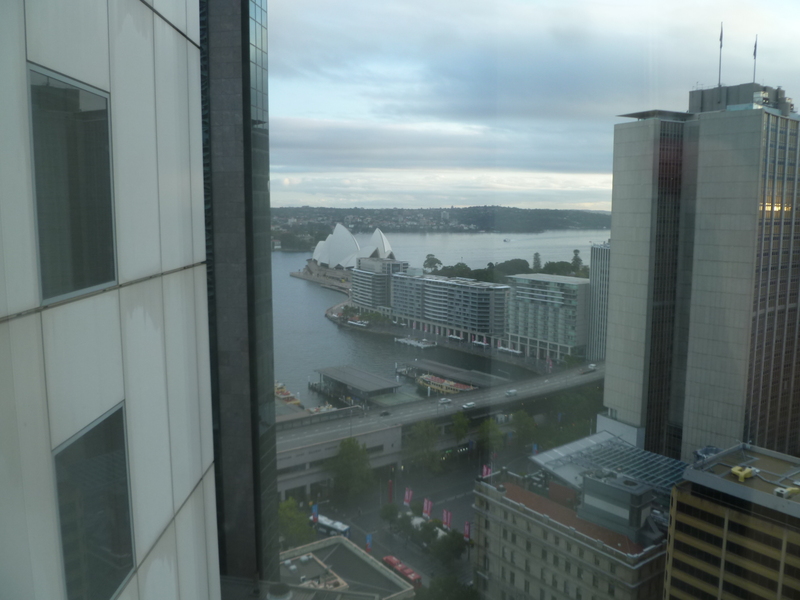 For one thing, they have a better budget and can afford the nice rooms at the Marriott with the Sydney Opera House view. But I’m getting ahead of myself. Last month, Dad and I parted ways in the Chengdu airport: he was heading home to NY via Beijing and I to Sydney via Bangkok on Thai Airways. Let me be the first to say that Thai is a lovely, lovely airline and I recommend it highly if you’re travelling in the Pacific. Just, uh, be careful of flight loads and give yourself a good buffer in between connecting flights. This is important, people. I know, no one wants a five hour layover in an airport, but it’s better than a 15 overnight camp out in the terminal. Bangkok Suvarnabhumi International Airport has lovely couches, by the way. And they have showers! You can actually take a shower and not feel all grimy-gross. Oh man, it’s great. I missed my first connecting flight to Sydney by a matter of minutes but it was no big deal. The international terminal there is totally swanky, if expensive, and once again, the couches are quite comfortable. I made the flight to Sydney the next morning by the slimmest of margins – I got the last available seat – and spent the nine hours in flight conversing pleasantly with the old Romanian man seated next to me. I was reading Jeremy Clarkson’s latest book, Around the Bend, a collection of columns from the Times (UK, not NY), and he mistook my enthusiasm for Clarkson’s humor as an interest in cars. He then talked about classic cars for an hour, saying earnestly, “I don’t like Top Gear. It’s all exploding cars and not serious at all.” Uh, dude, that’s the point of Top Gear. That’s why I like Top Gear. I couldn’t give a damn about the cars, it’s all about the wacky hijinks. Top Gear hatred aside, it was moderately interesting to hear about how he fled communist Romania and sought asylum in Sydney. All in all, a pleasant flight. The downtown Marriott was very nice. We spent about a third of our trip there, which was kind of cool. 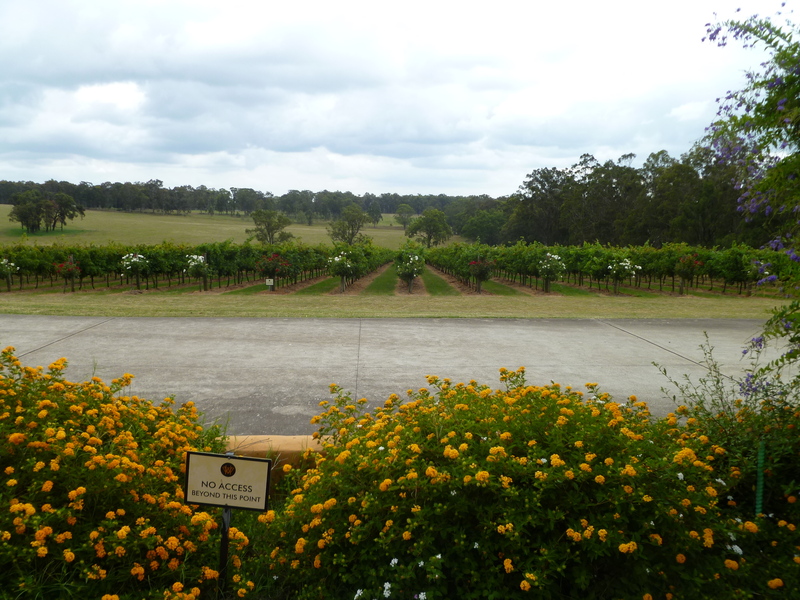 It’s centrally located and about five minutes from Sydney Harbour. My only beef with the place is that there was practically nowhere to eat cheap after 8pm, which was kind of a problem since the days run so long down there; it’s light out until 8:30 in high summer and the afternoon stretches on, long and golden. Your normal time cues are totally thrown out of whack and then by the time you think you should maybe grab a bite to eat everything has closed down. This happened to us like five times. The view from my room. 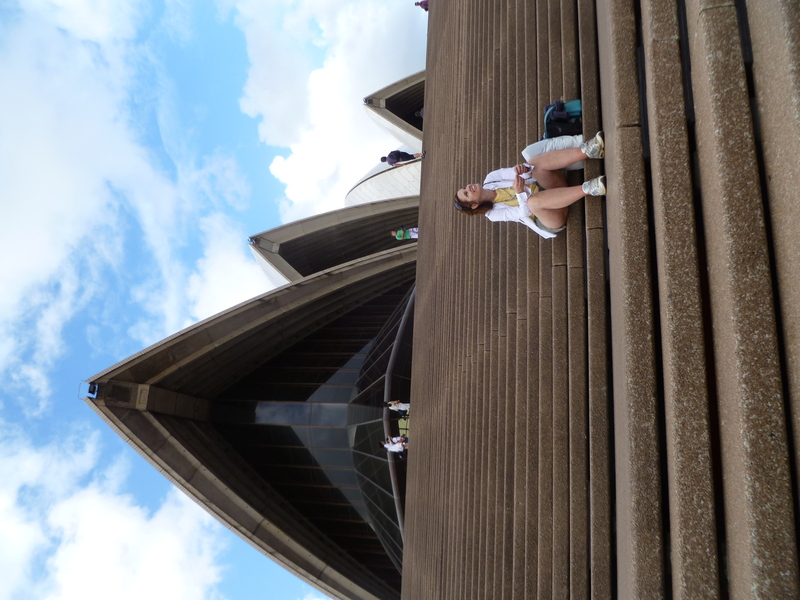 Yes, that is the Opera House. I spent my first day in Australia on a tour bus. 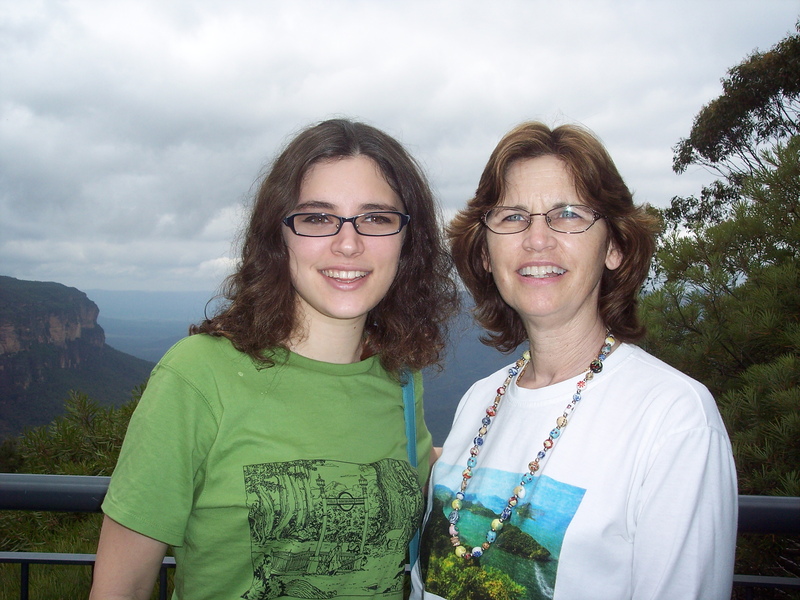 Mom and Kari had booked us on a tour group to the Blue Mountains, which is west of Sydney. Included in this little day-trip was a visit to a petting zoo, a small tourist town, the Three Sisters, the 2000 Olympic park, and uh, the scenic highways, I guess. I am not a tour bus person. I found this out when I went to Israel with a Birthright tour group of 40 Jewish kids, which was fun but I swore to myself I would never subject myself to that sort of regimented tour schedule. Of course, our tour guide Libby was like a tiny, demented, time-conscious maniac. Given that my grasp on punctuality is tenuous at best, this was not exactly a match made in heaven. 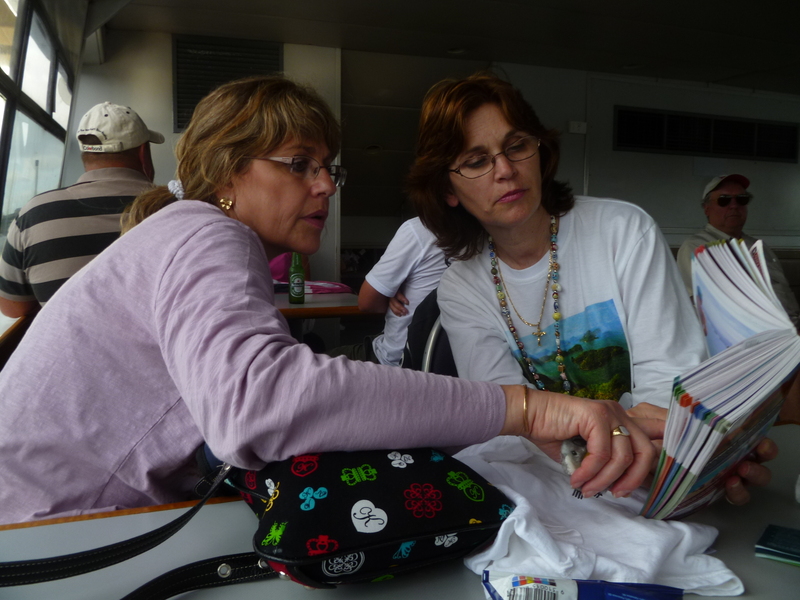 And then there was Mom, who made me look punctual by comparison. It was not pleasant, especially as Libby changed “meet by” times and locations. Annoying, but the tour itself wasn’t too bad. 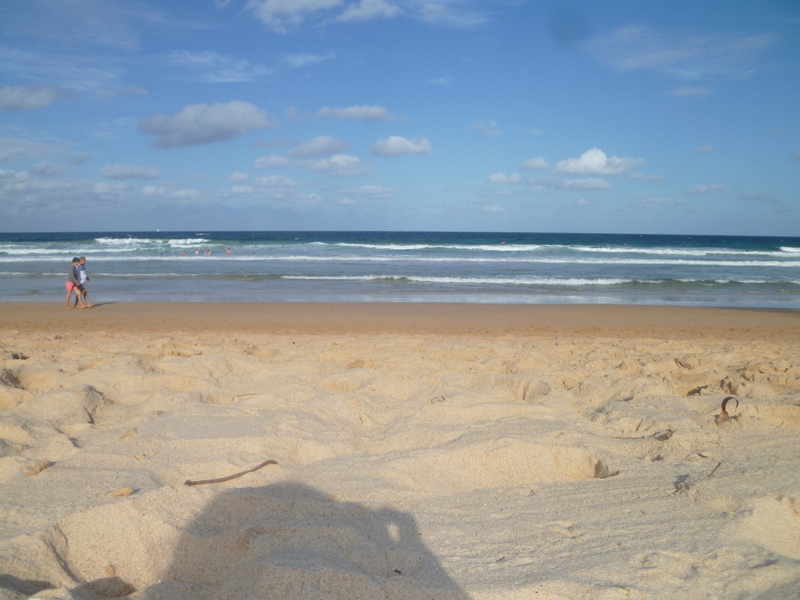 Australia’s totally gorgeous, and we got to see a lot of places we just would not have gone to on our own. 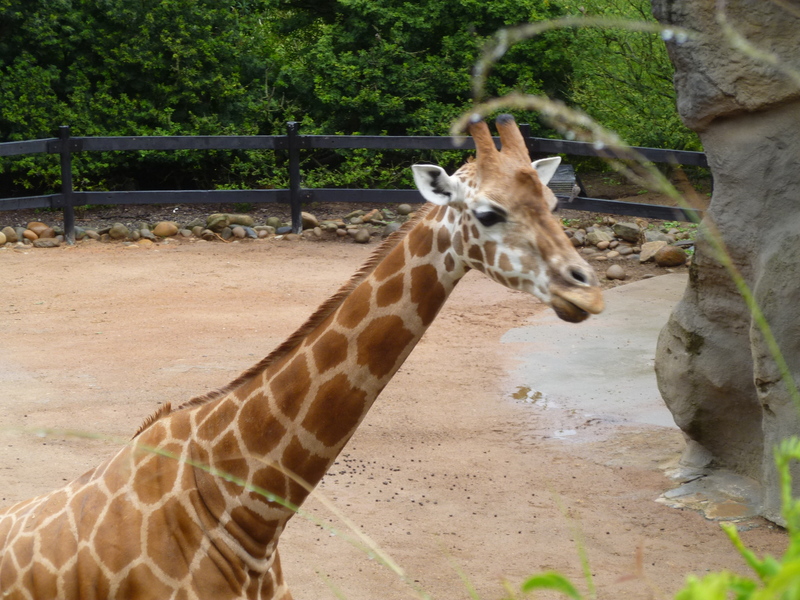 One of my favorite stops was the Featherdale Zoo, which was basically an exotic petting zoo in the middle of the suburbs. Do they even have zoning laws in Sydney? Apparently not. 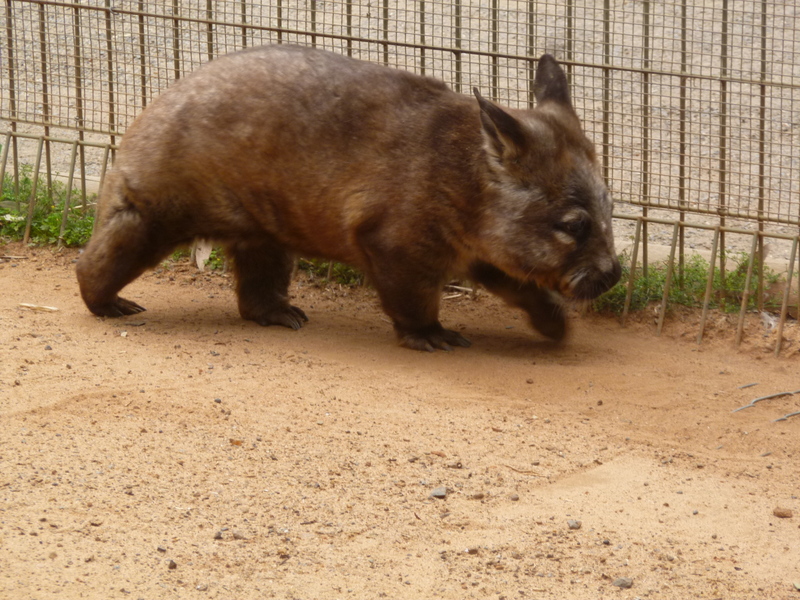 Anyways, they had Australia’s greatest hits of animals: kangaroos, wallabies, koalas, dingos, crocs, and my personal favorite, wombats. 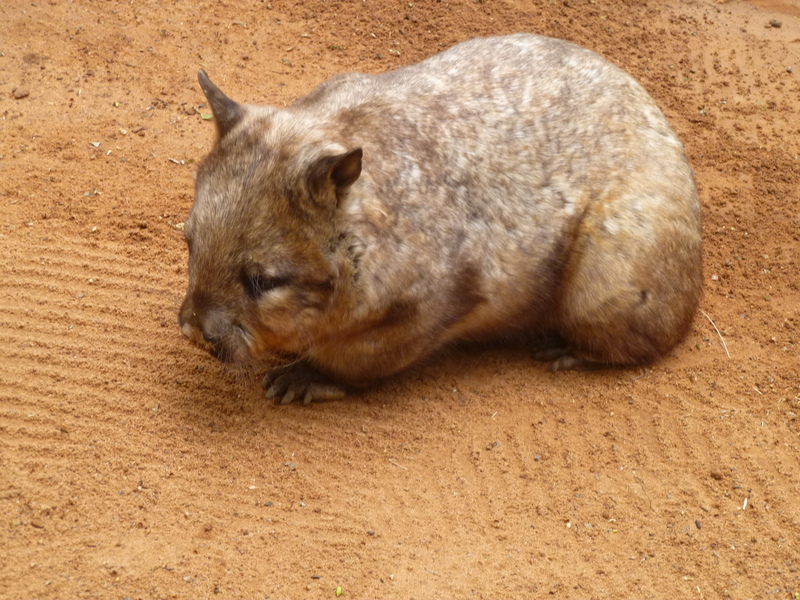 Wombats are awesome, you guys. I’m not just saying this because of Ursula Vernon’s Digger (which you should go read now because it is amazing and even the New York Times thought so). 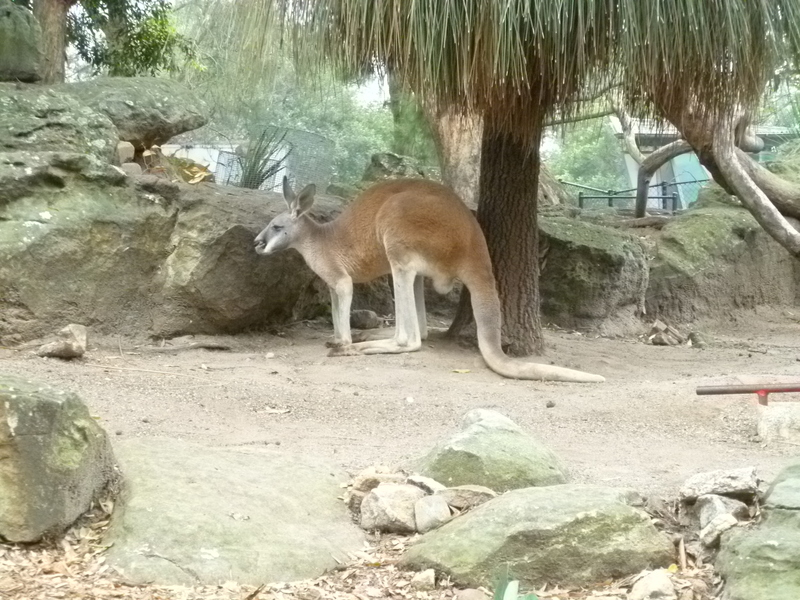 They’re marsupials that have adapted to digging so much that the pouch is reversed, so that dirt won’t get in. And wombat is fun to say. 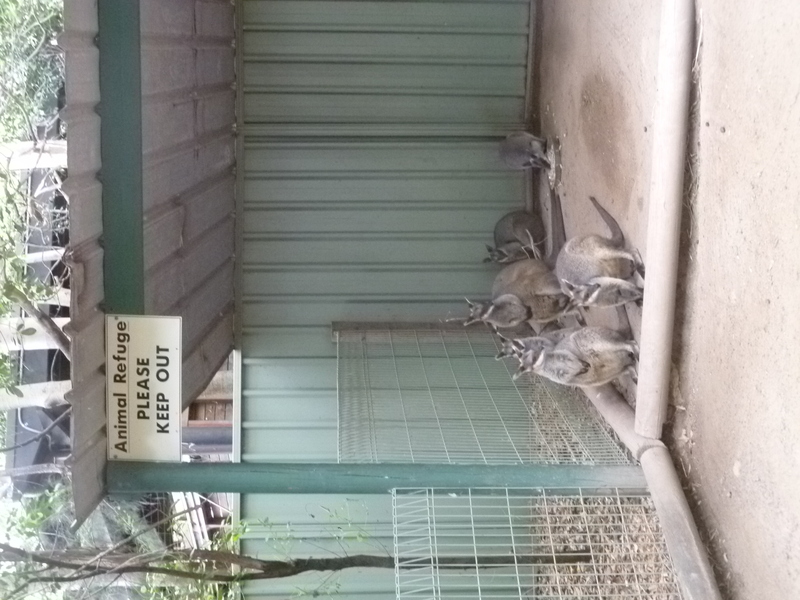 Wallabies at the Featherdale Zoo. 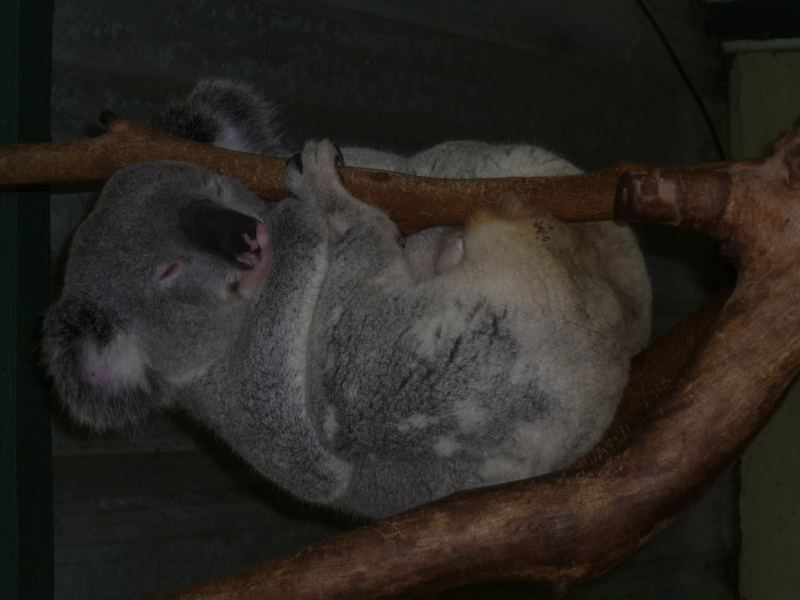 Sleeping koala at the Featherdale Zoo. 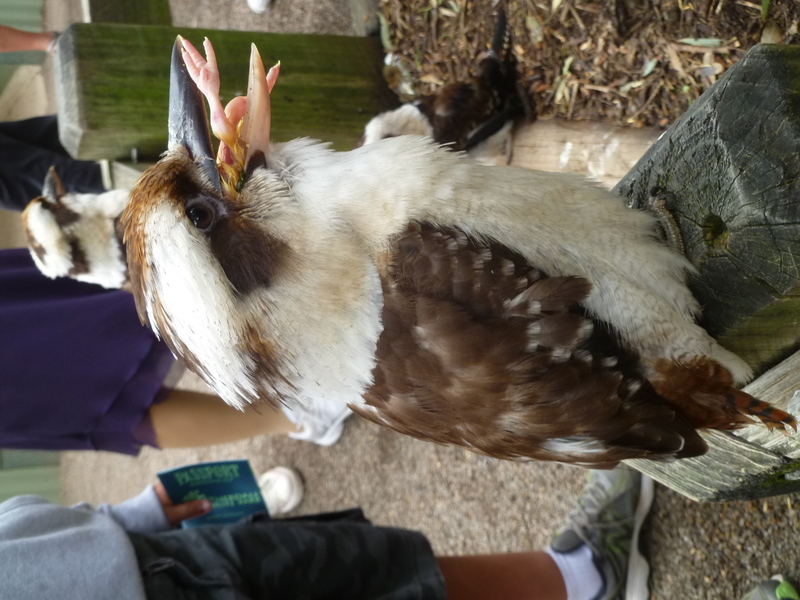 This was my best shot of a Kookaburra. It’s uh, eating a chick. 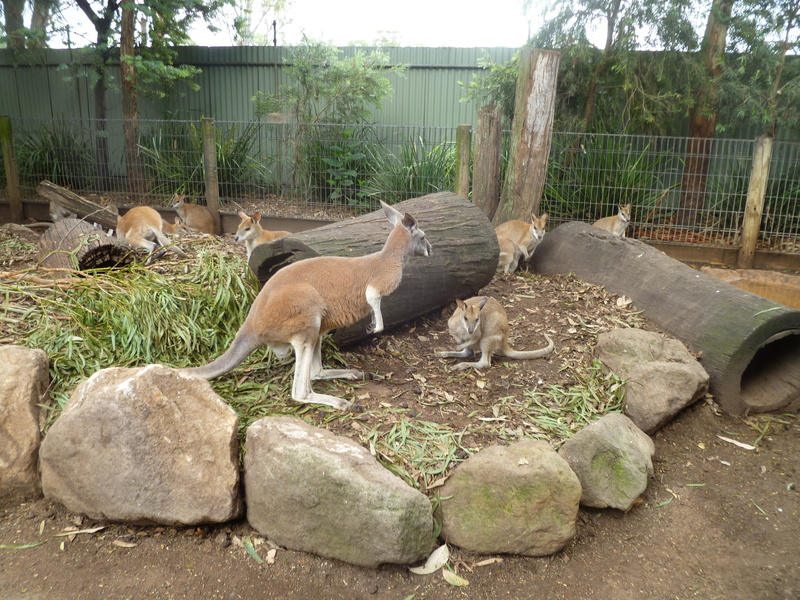 Kangaroos and wallabies, hanging out. 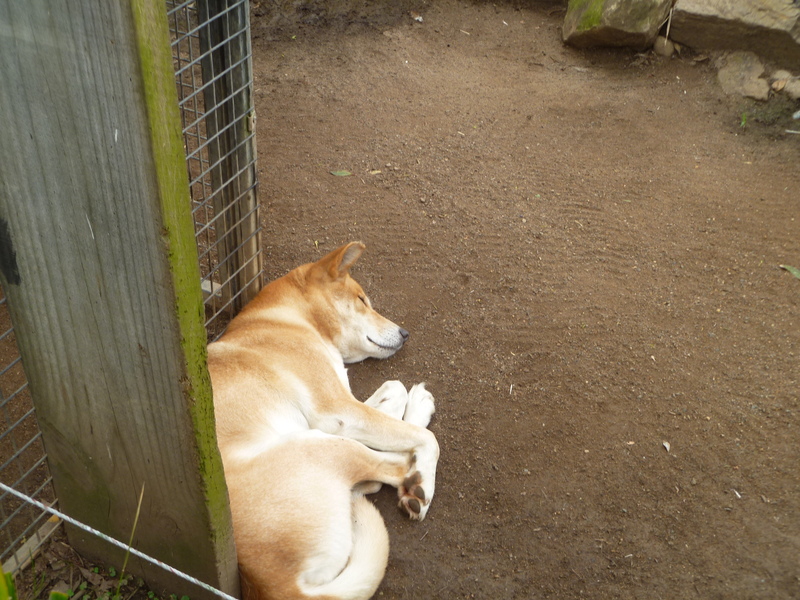 Here is a dingo that looks exactly like my Gramma’s dogs. 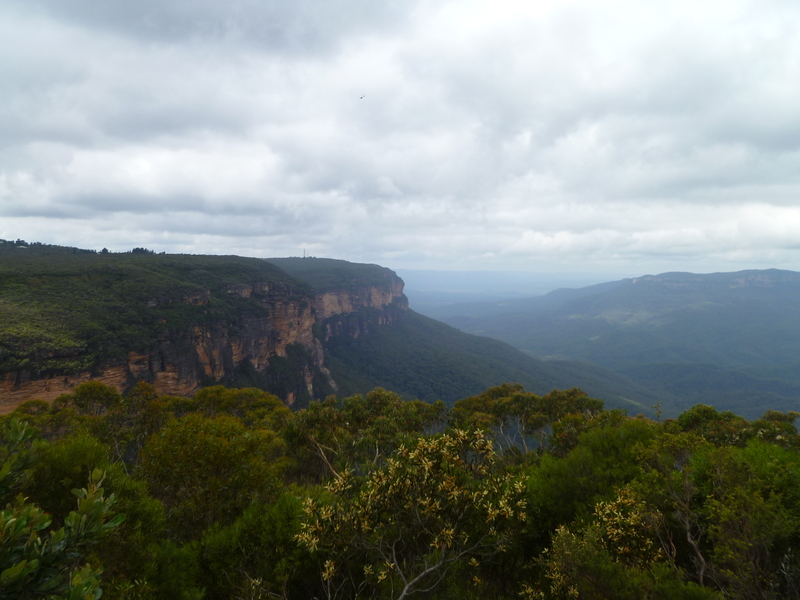 The big stop on this trip was the Blue Mountains. They’re a mountain range about an hour or so from Sydney that, from a distance, appear to have a blueish haze. We did not see the famed haze. It just looked like ozone and heat waves to me. Despite the lack of the eponymous blue-ness, the mountains really were quite gorgeous. Imagine the American West, like Utah or Nevada, except green and not desert. The Three Sisters are three rocks that sit next to each other. Very pretty rocks, but rocks. It was fun to wander around in the park, though. 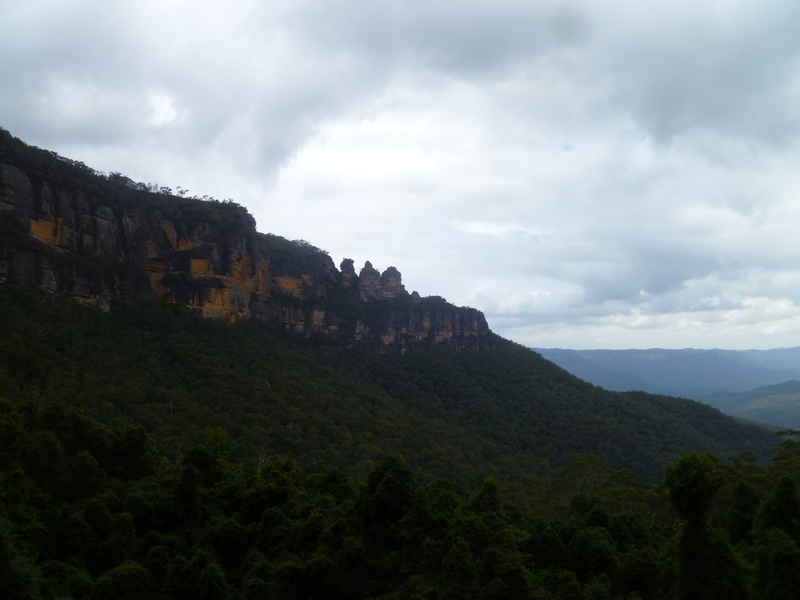 Here we are at the Blue Mountains. 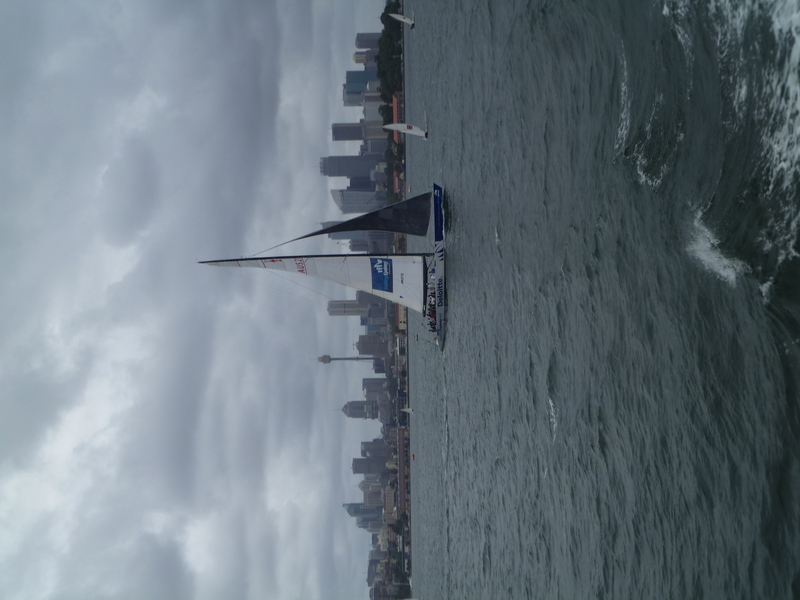 On the way back into Sydney, we took a Captain Cook “cruise” into down town. Basically, it was a tourist ferry, but it was cool to see all the harbours and islands where the prisoners used to live. 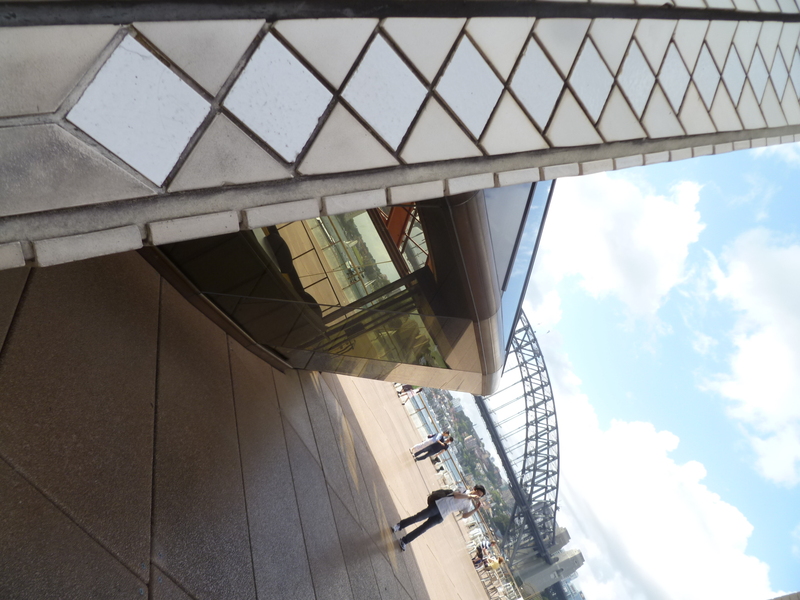 And of course, it goes underneath the Harbour Bridge and docks next to the Opera House. 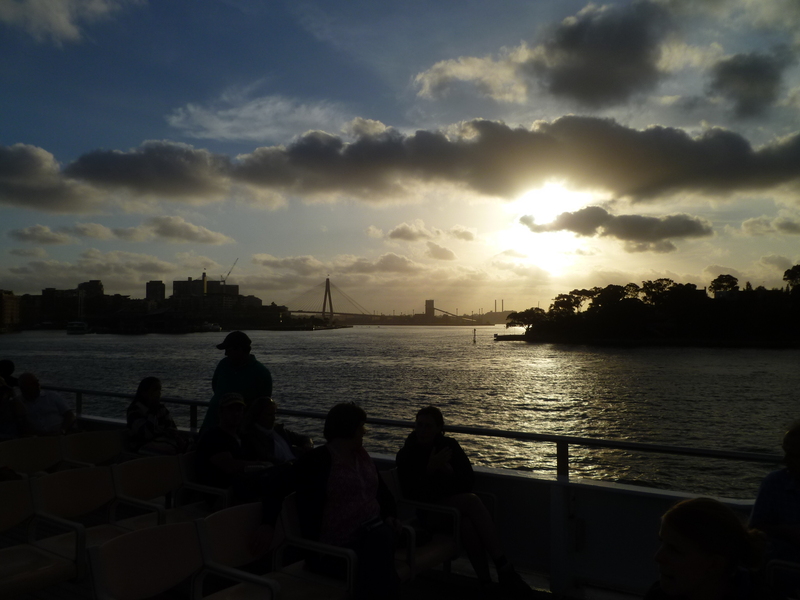 On the cruise back into Sydney (the ANZAC Bridge is in the distance). 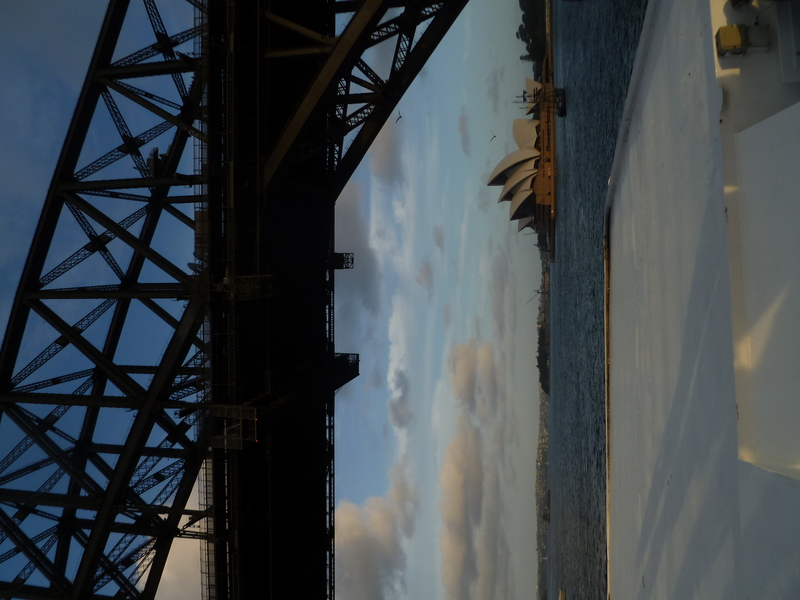 Here’s the Harbour Bridge and Opera House. All right, I think that’s enough pictures for now. Can you believe this was only my first day? Jeez, we got a lot done. Because we rock.